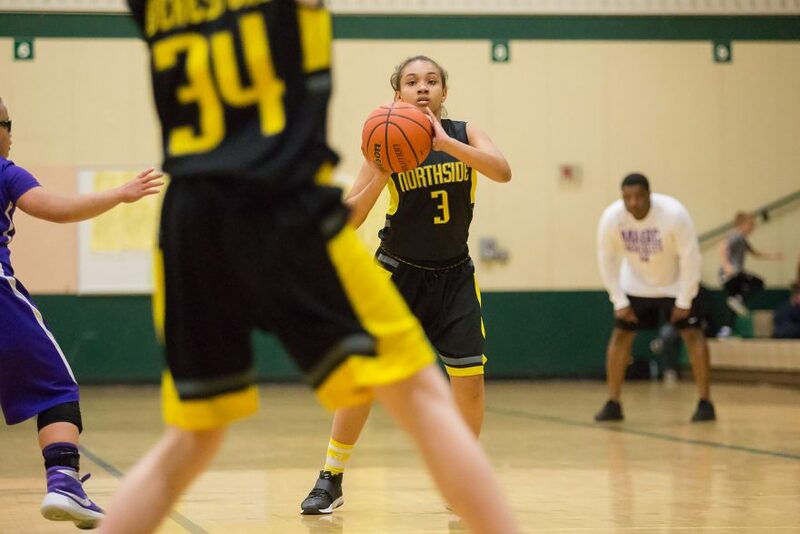 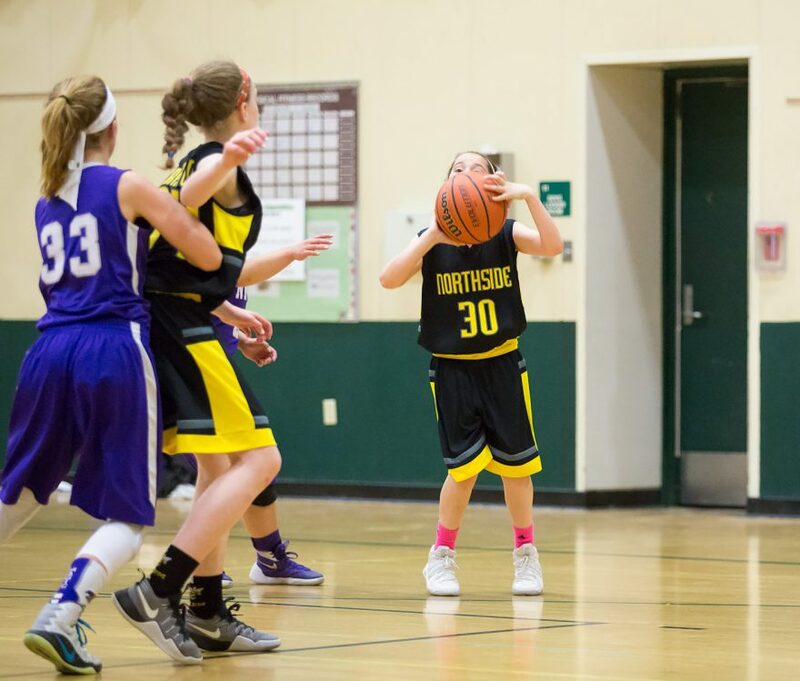 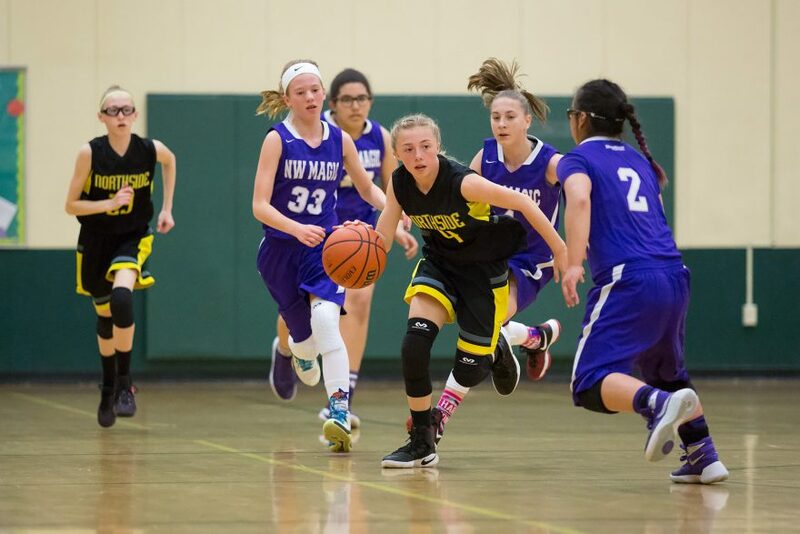 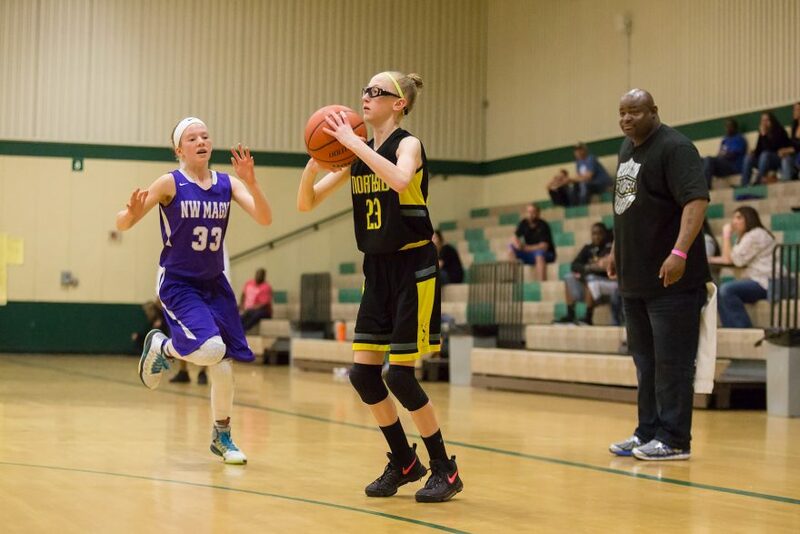 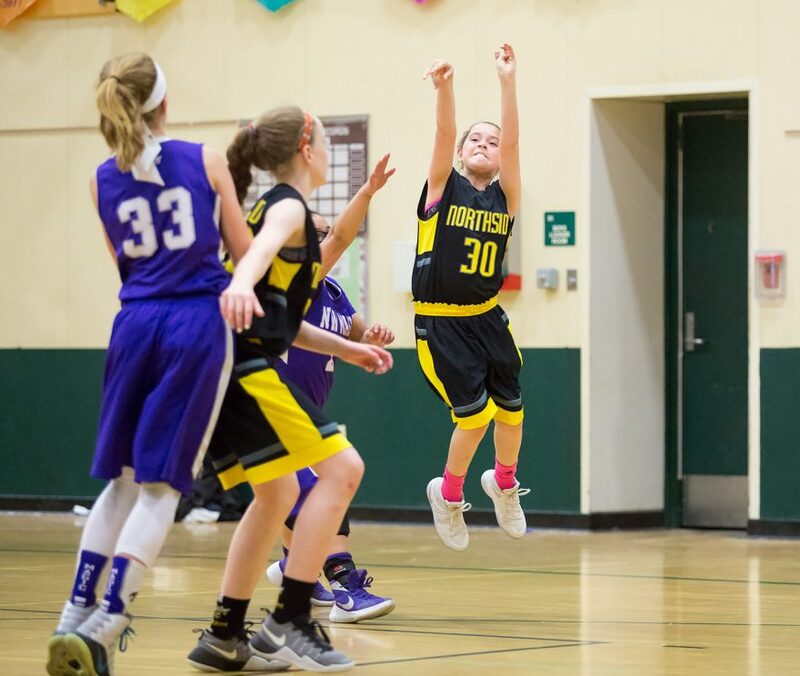 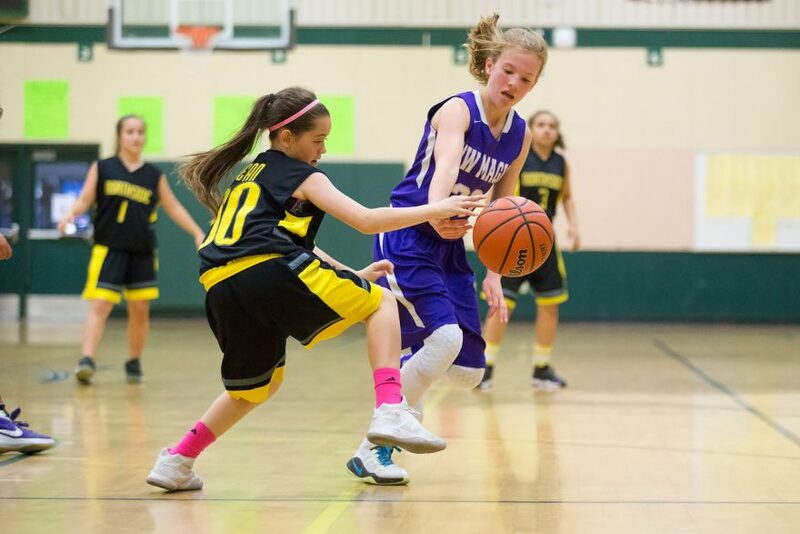 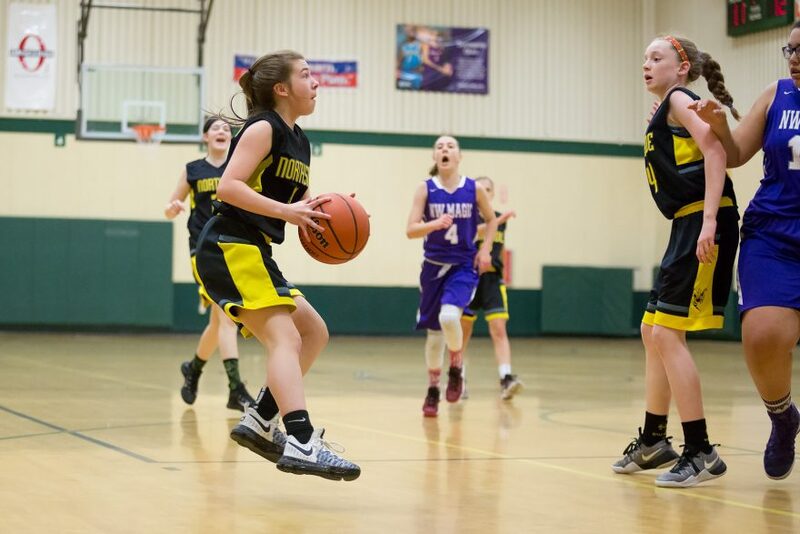 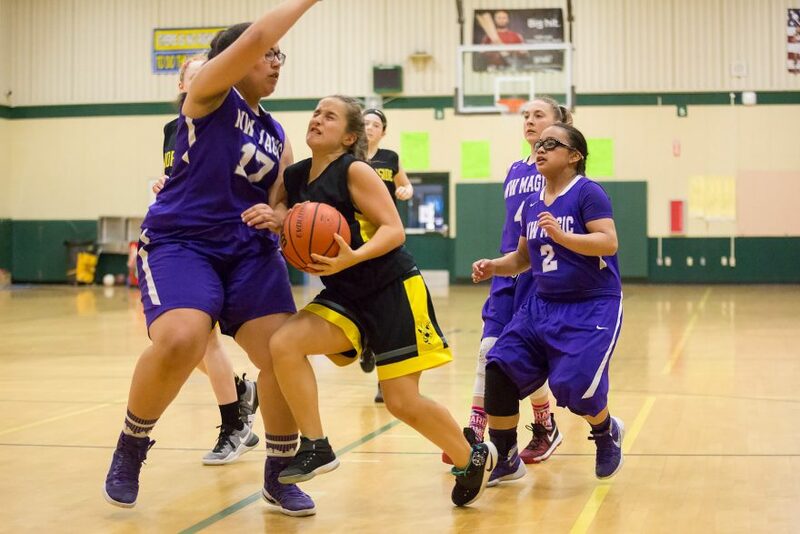 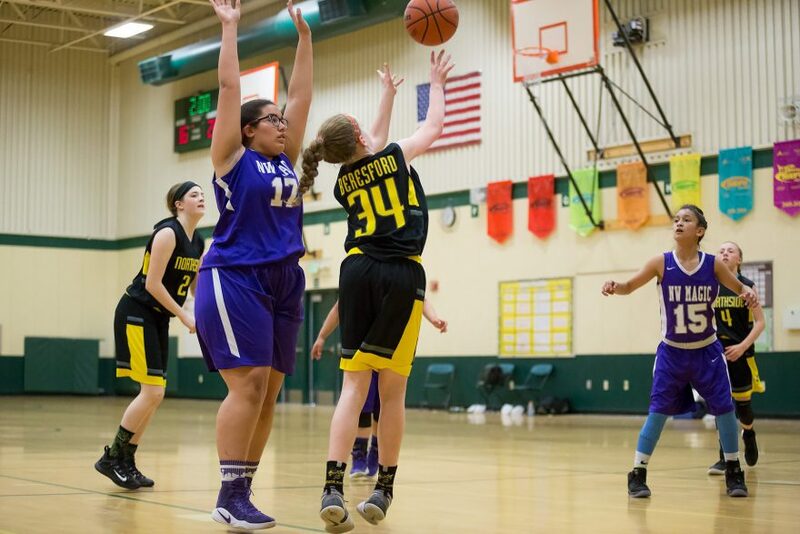 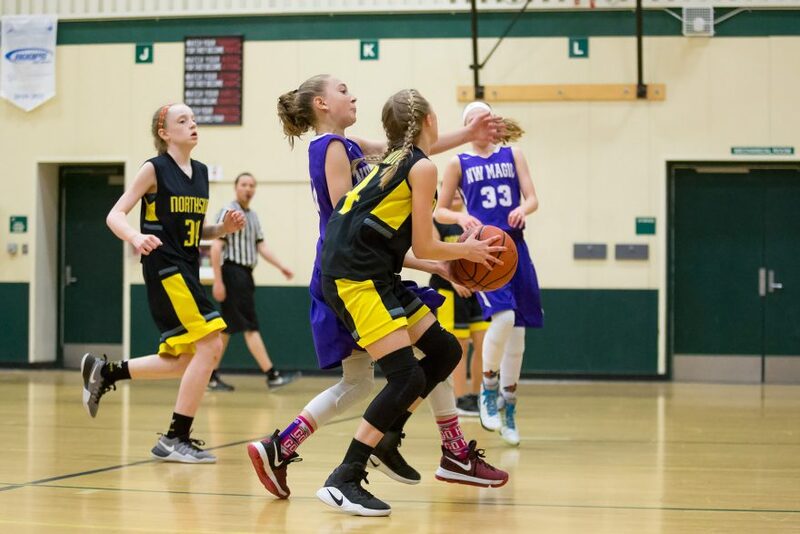 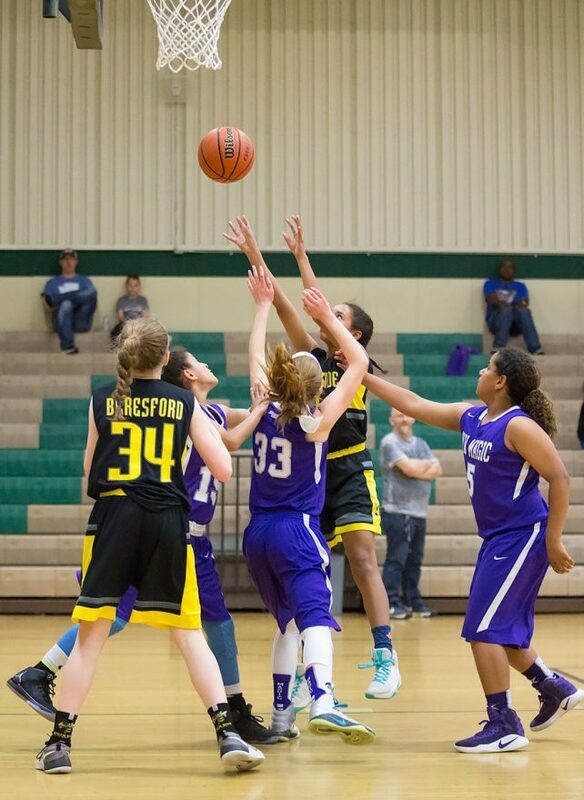 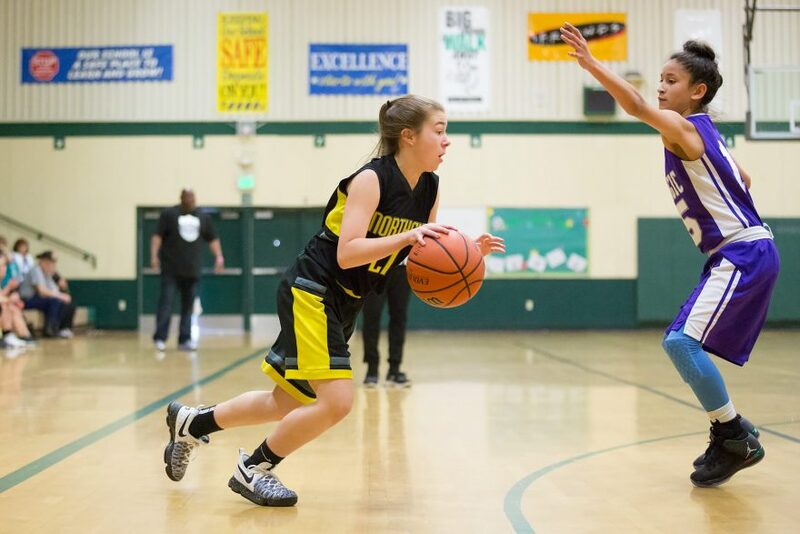 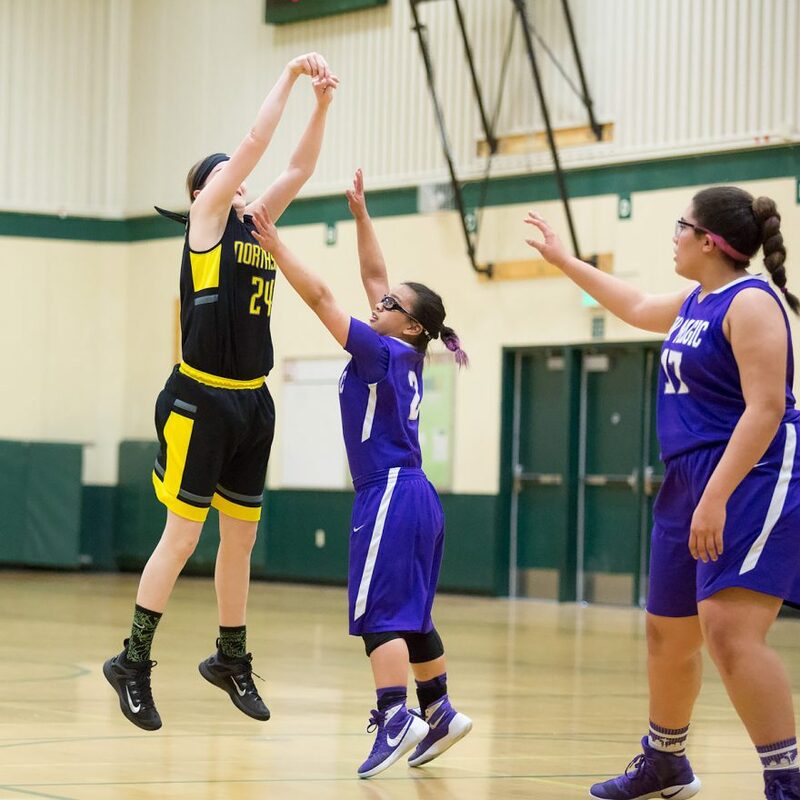 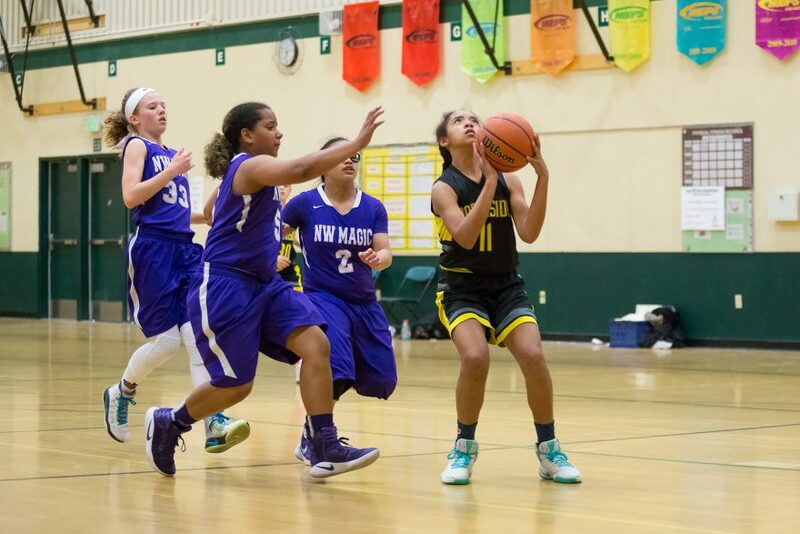 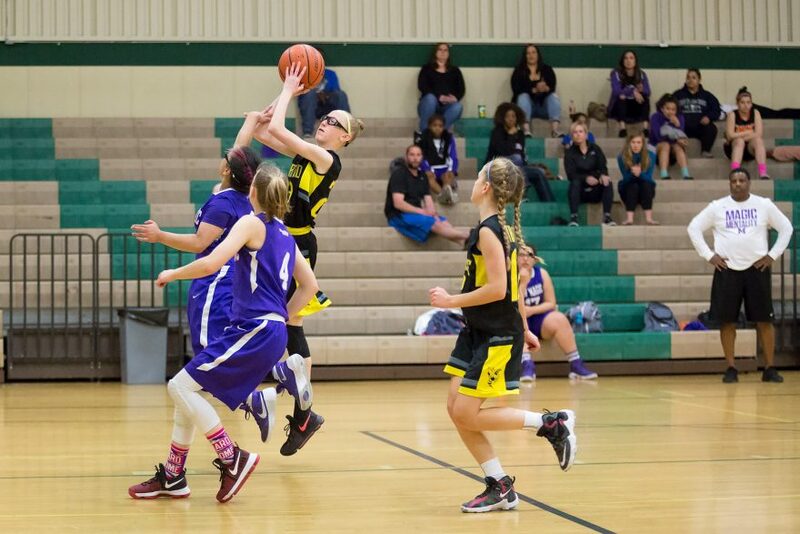 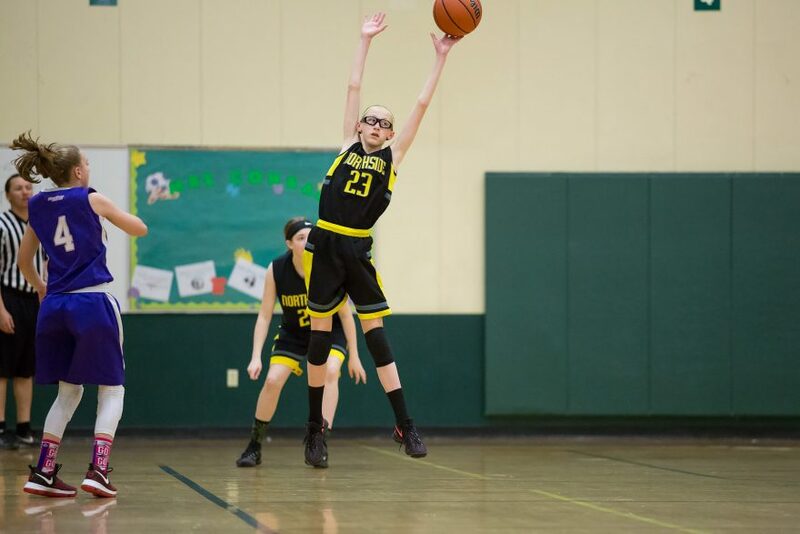 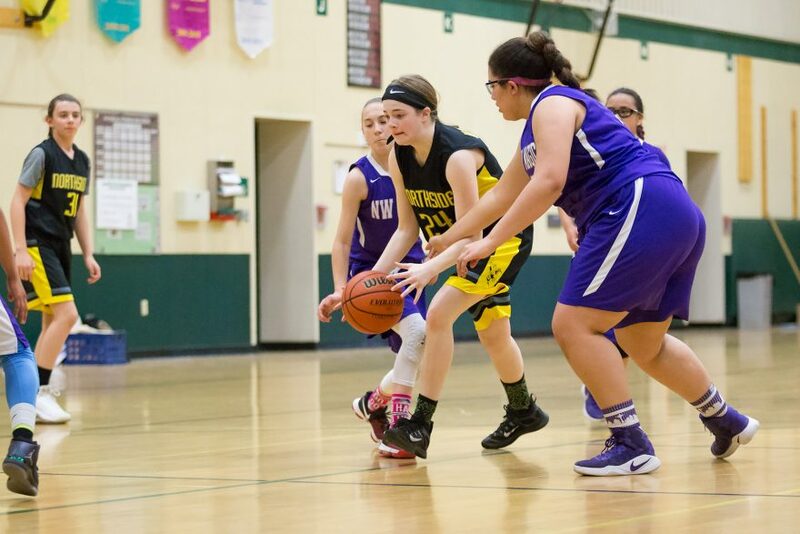 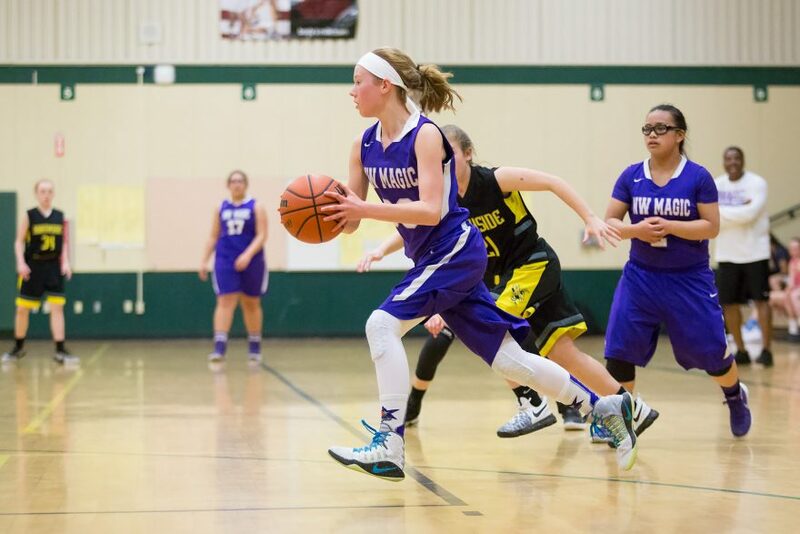 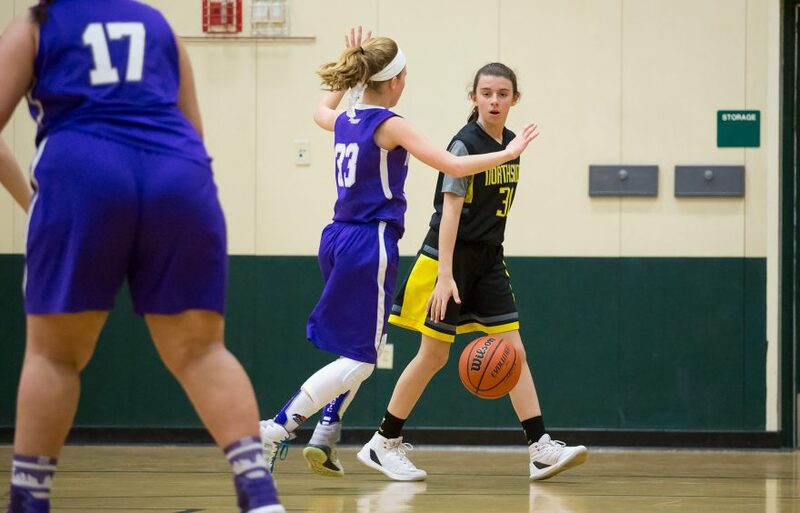 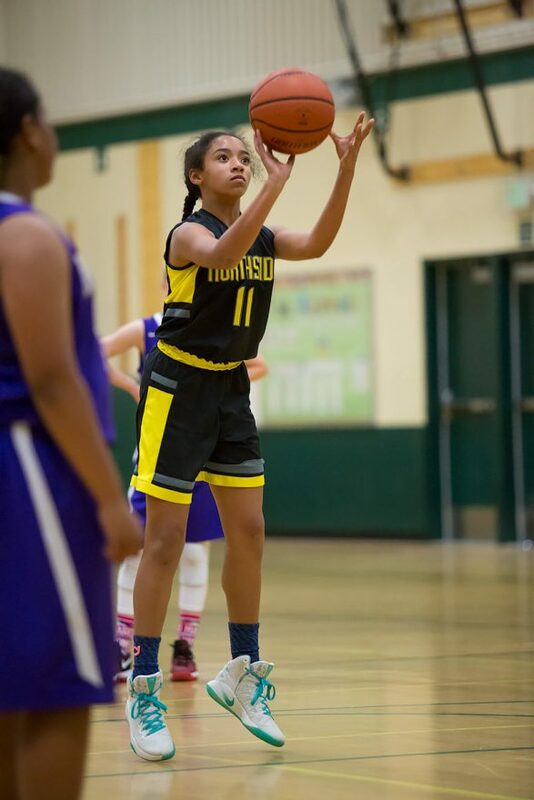 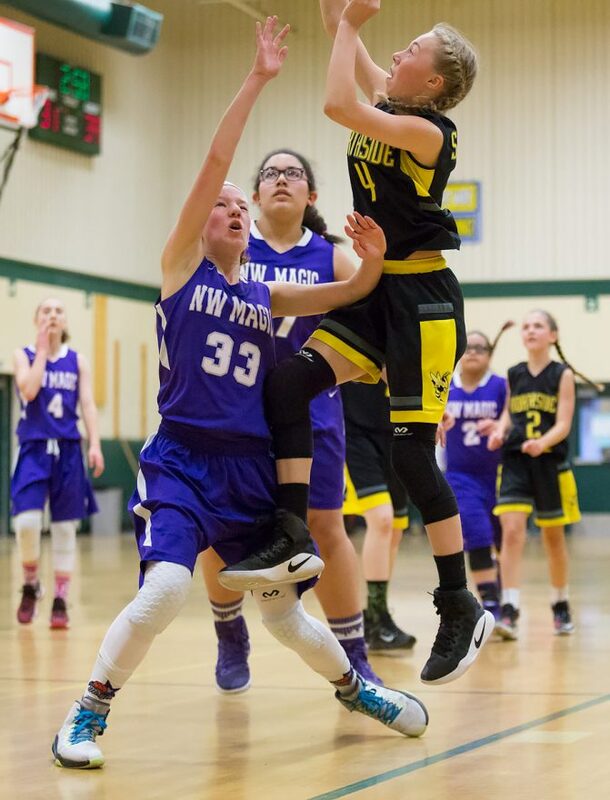 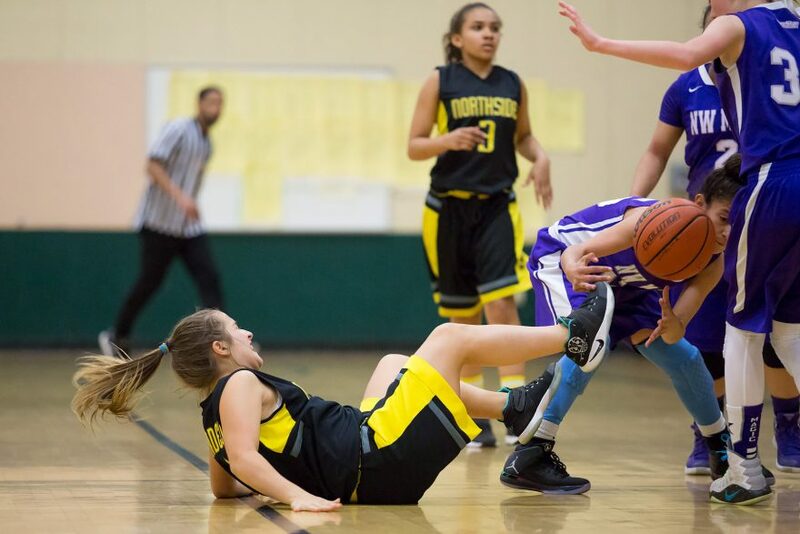 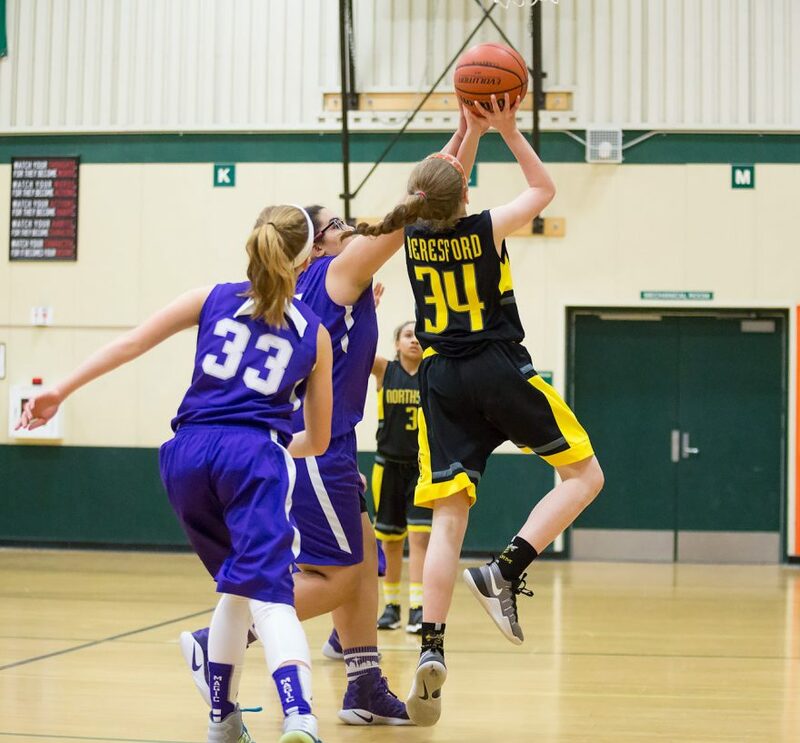 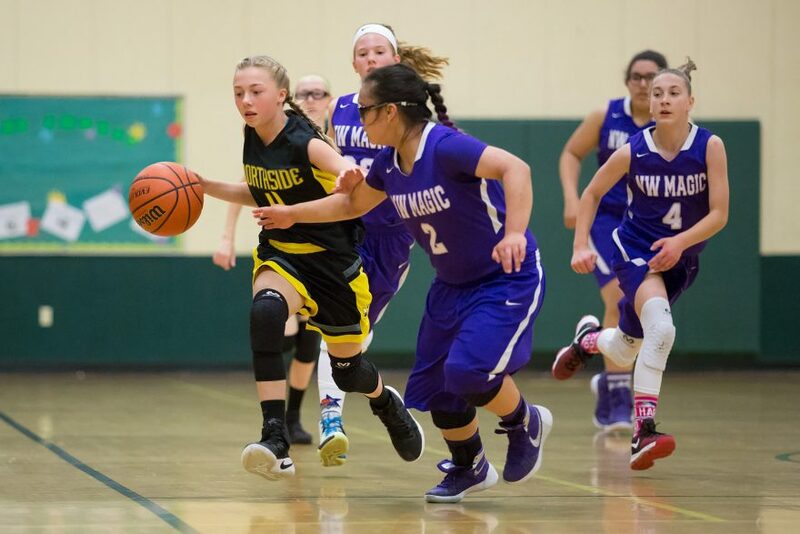 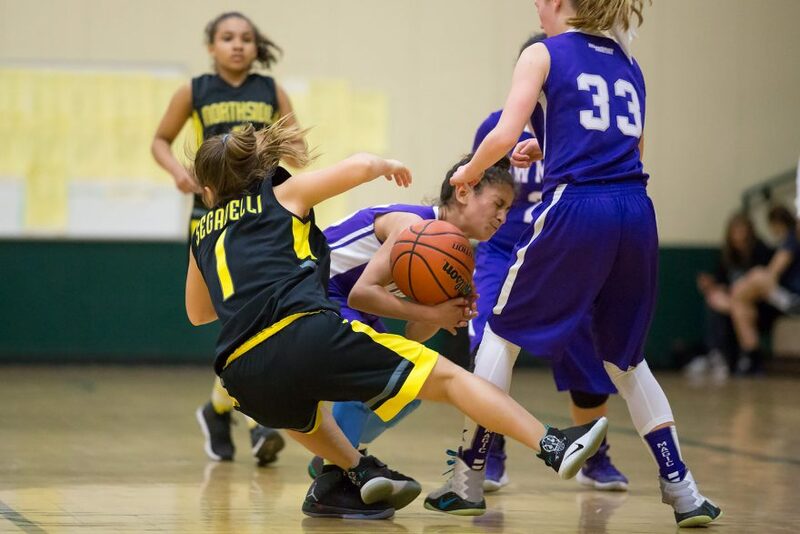 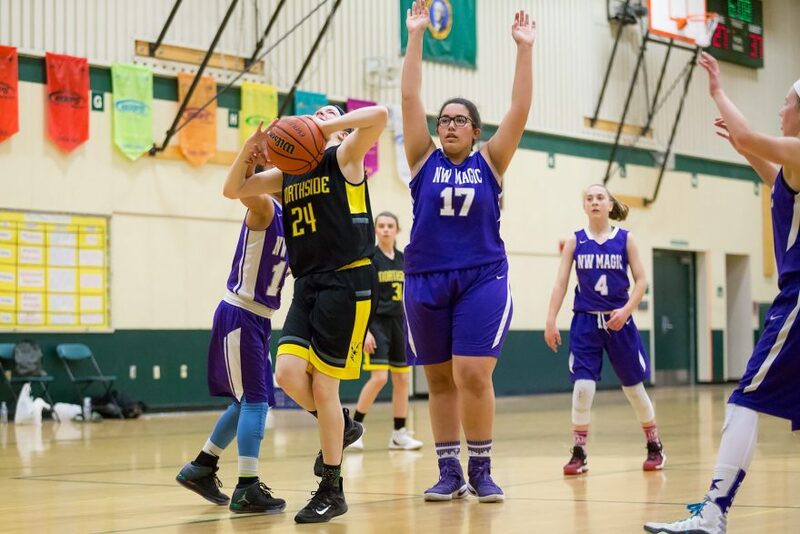 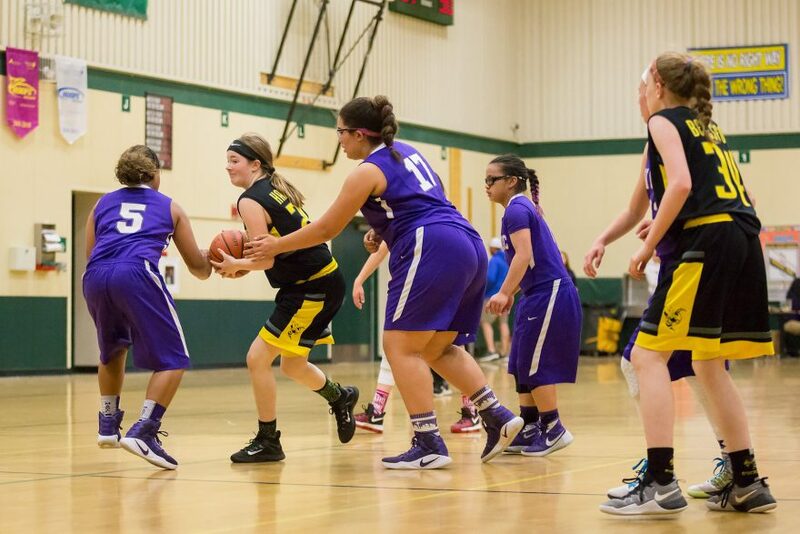 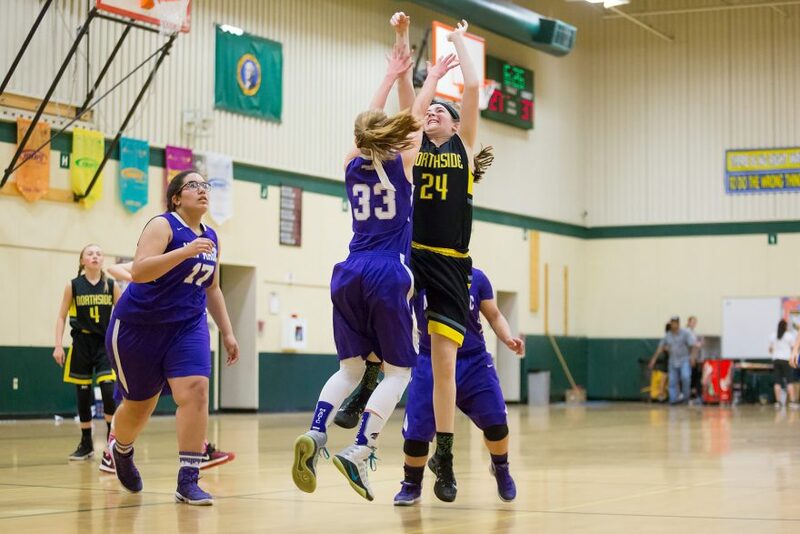 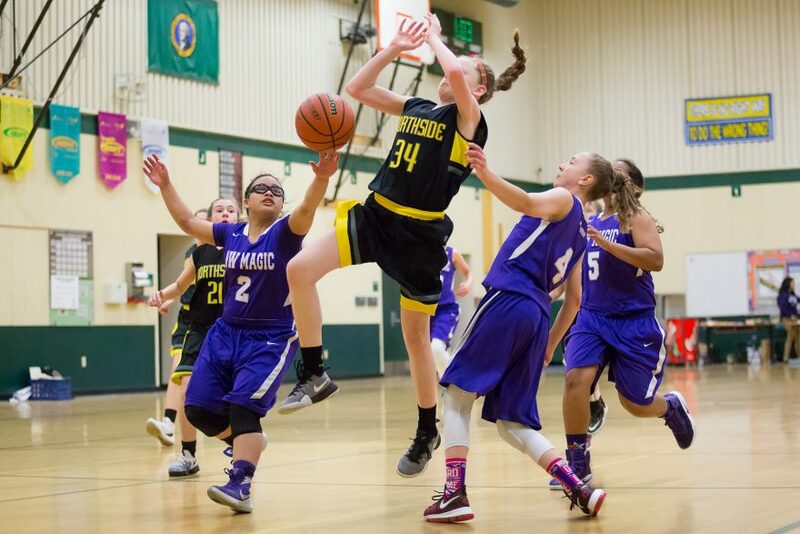 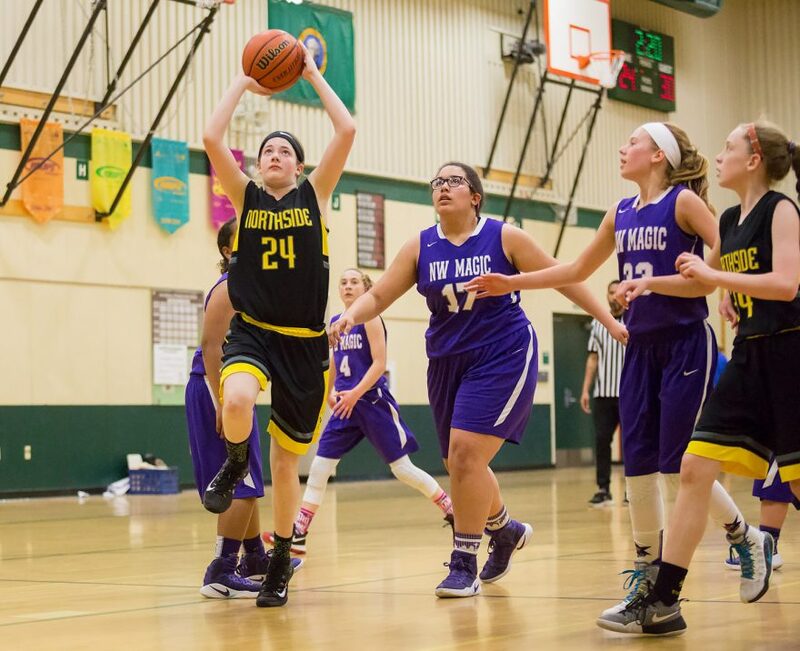 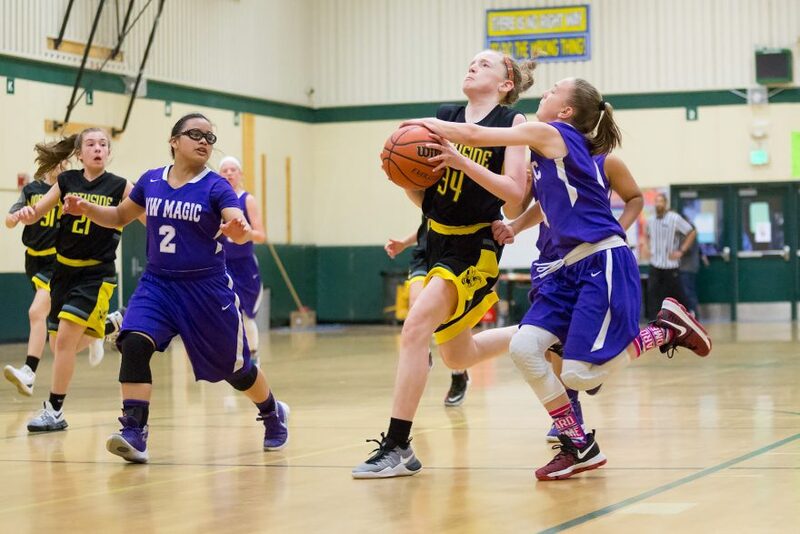 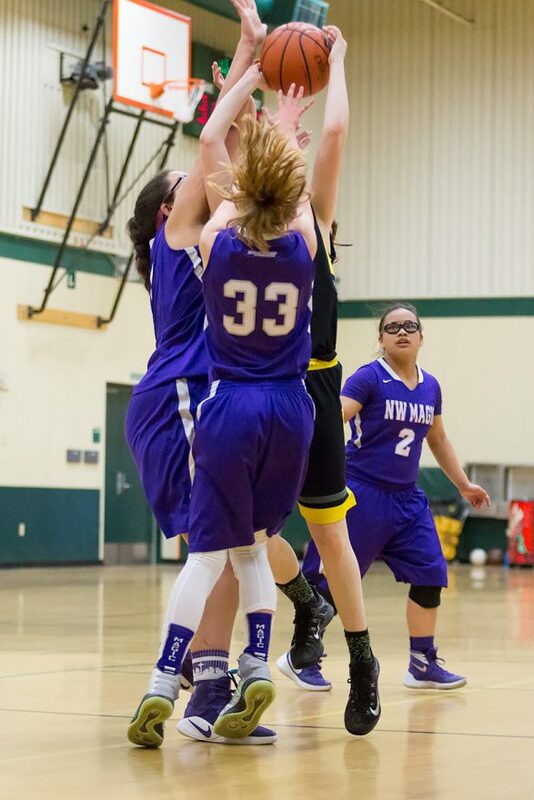 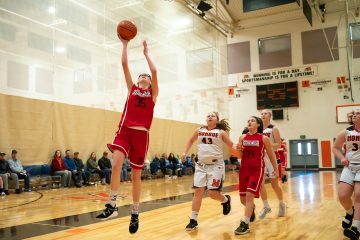 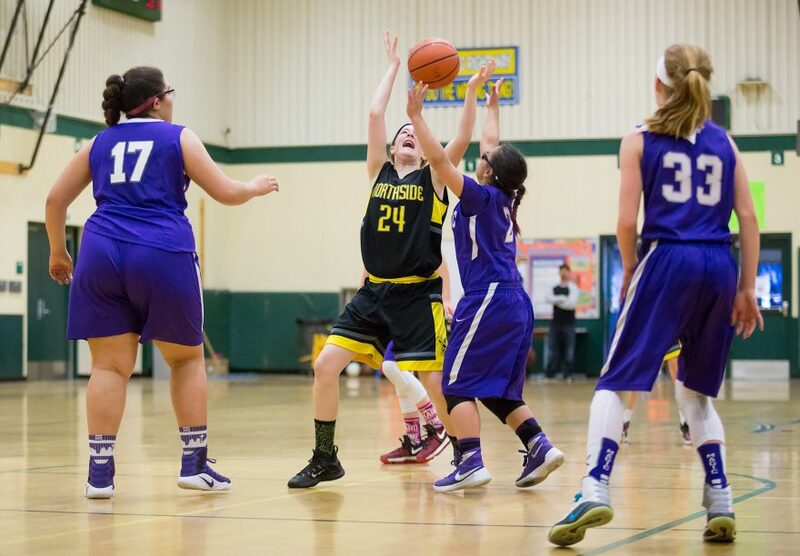 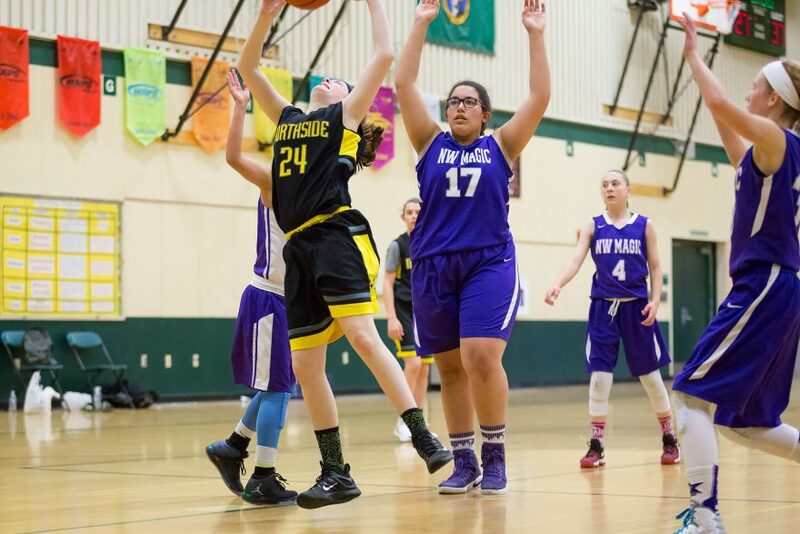 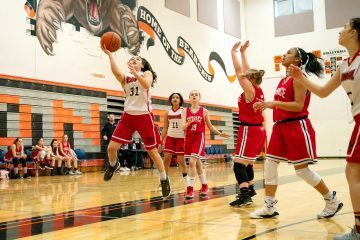 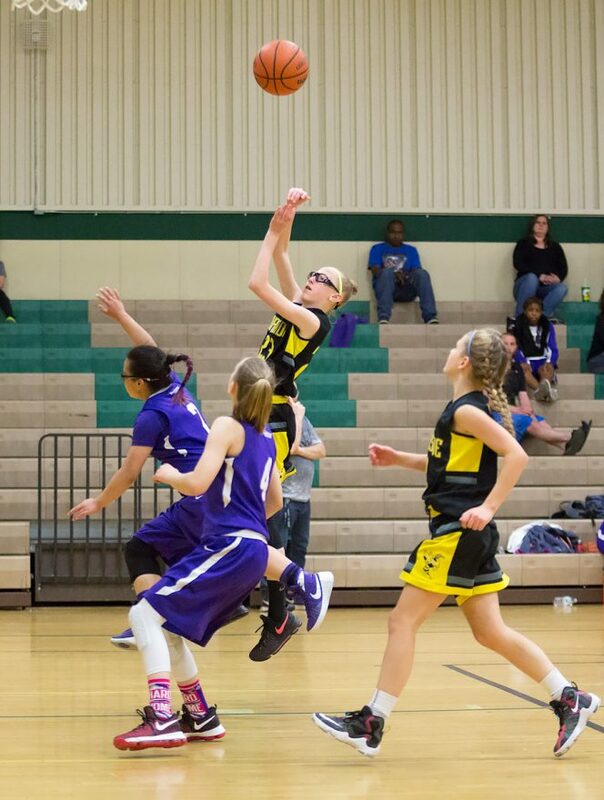 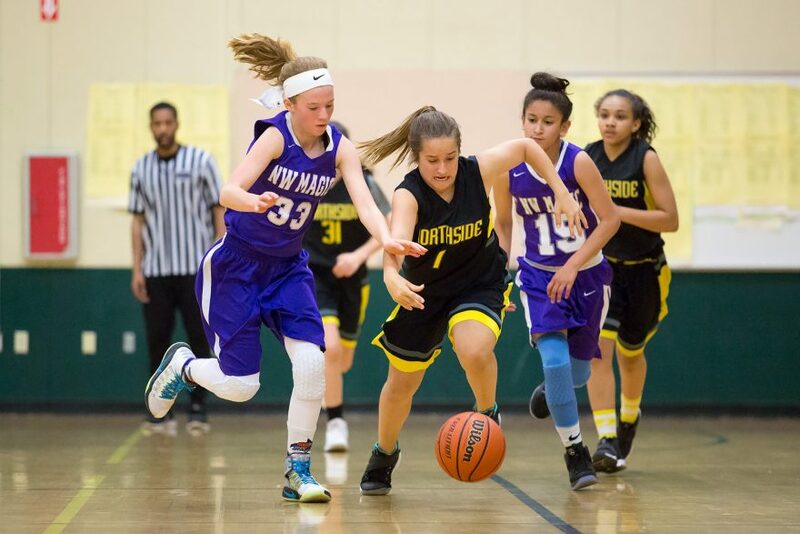 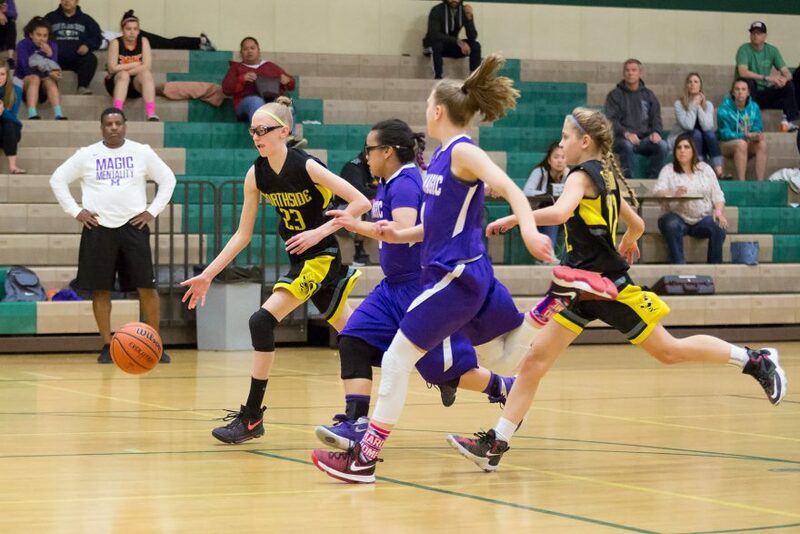 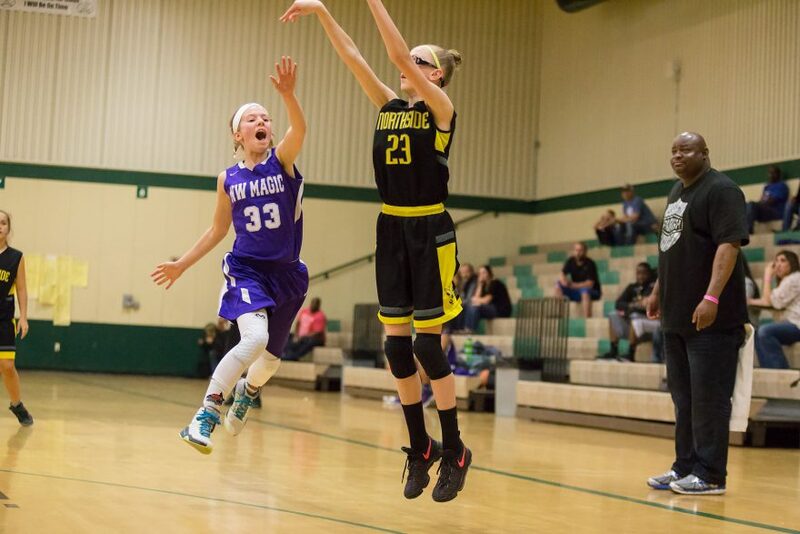 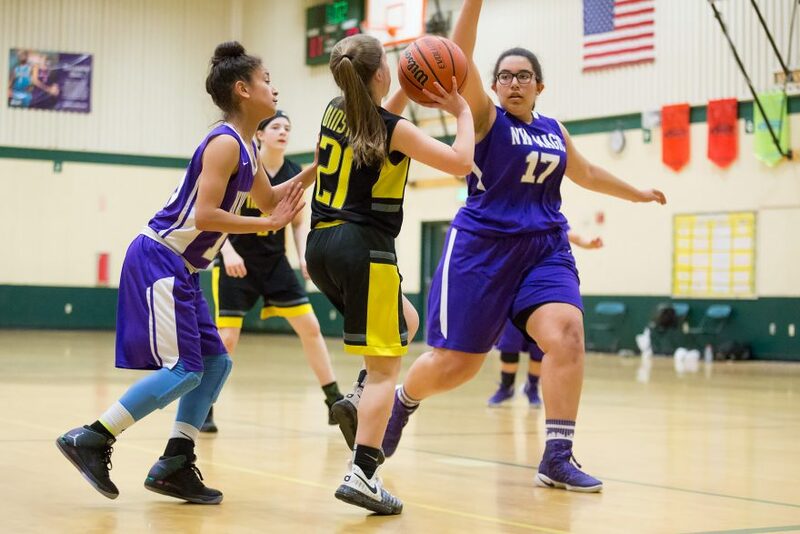 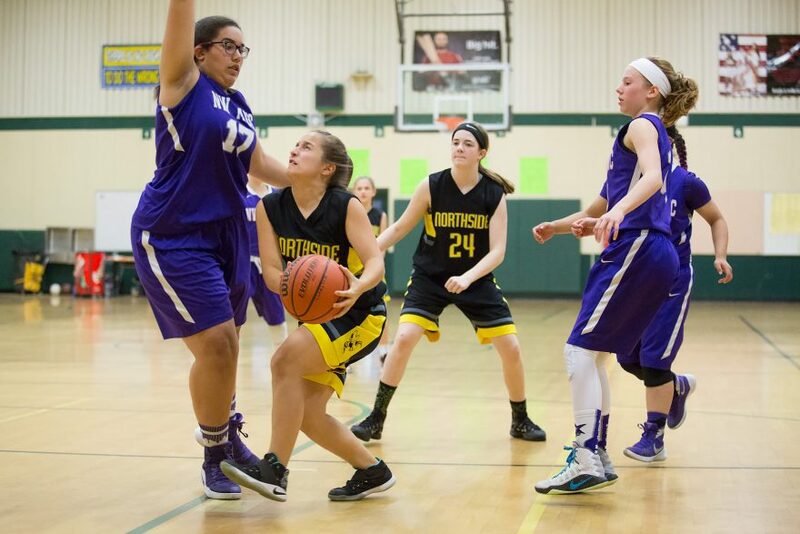 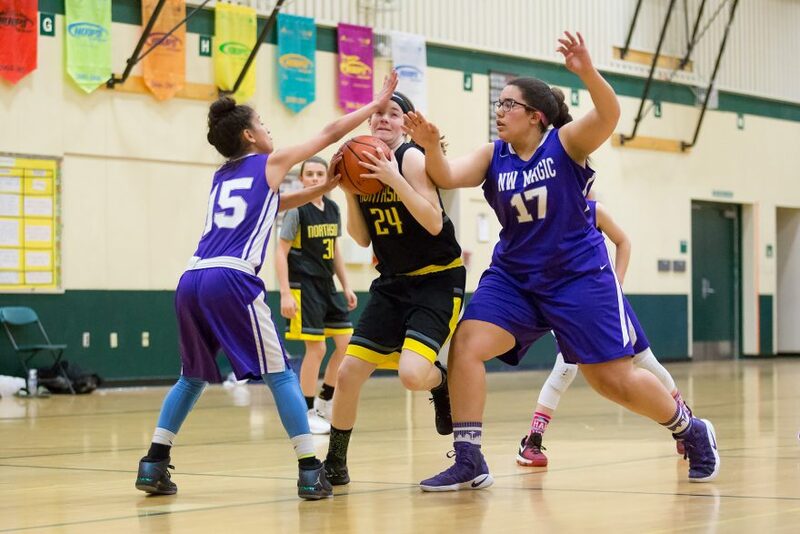 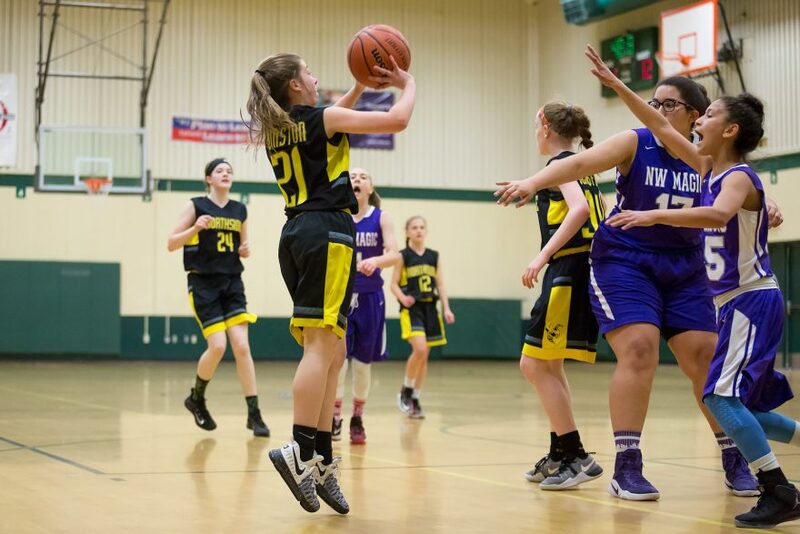 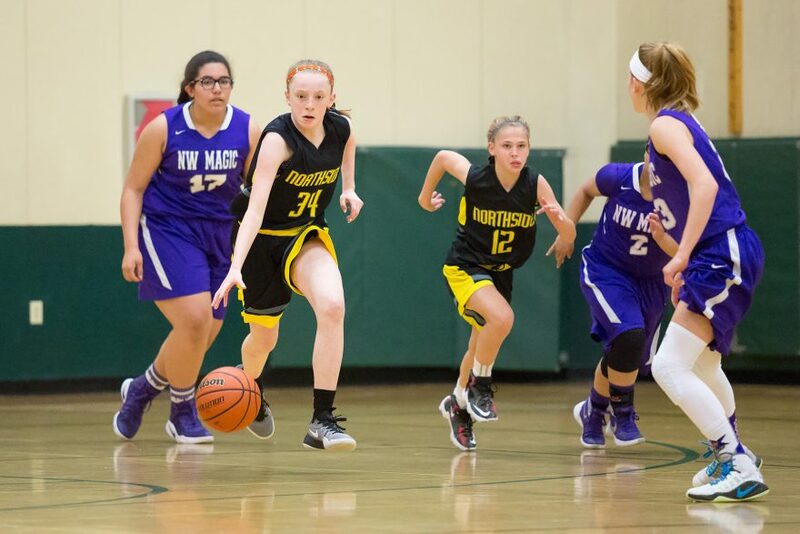 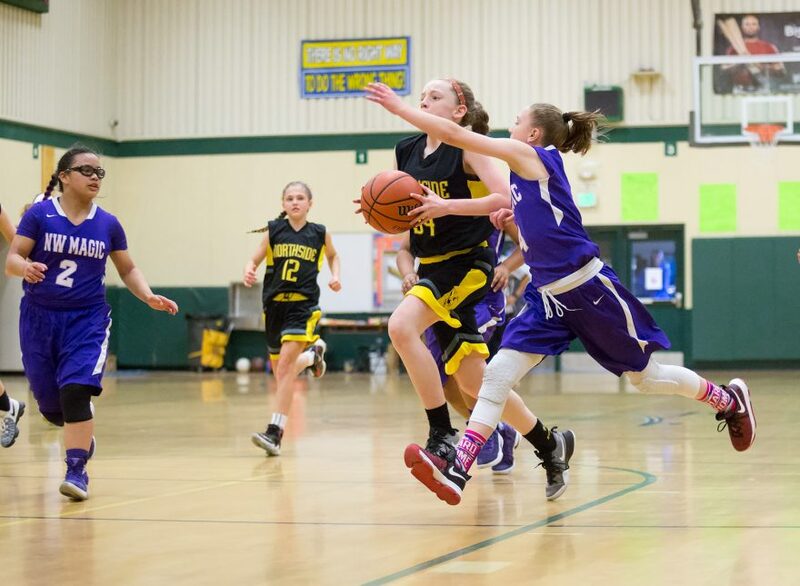 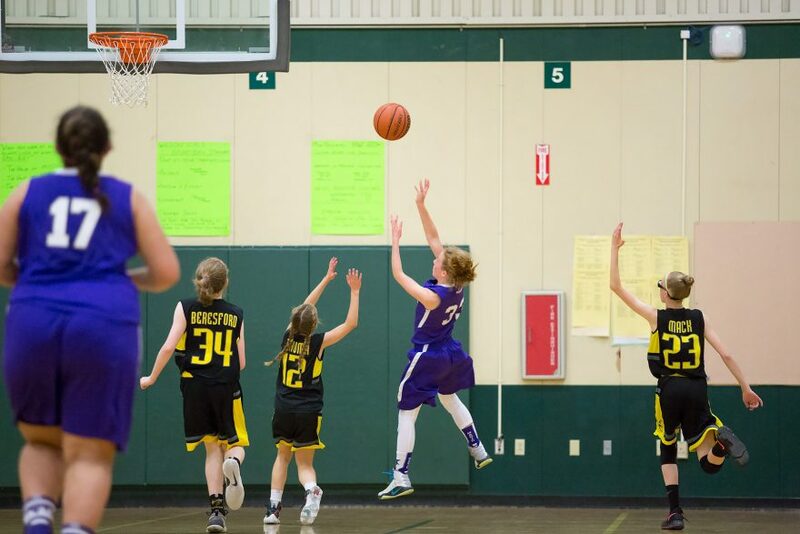 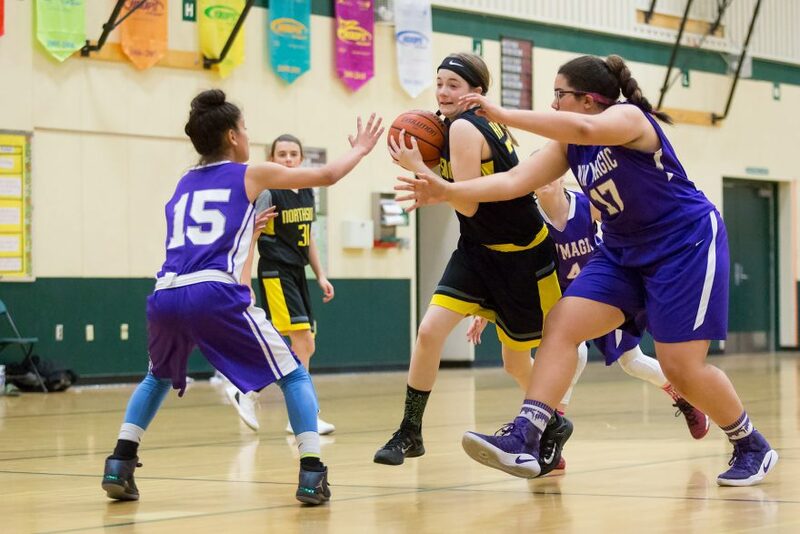 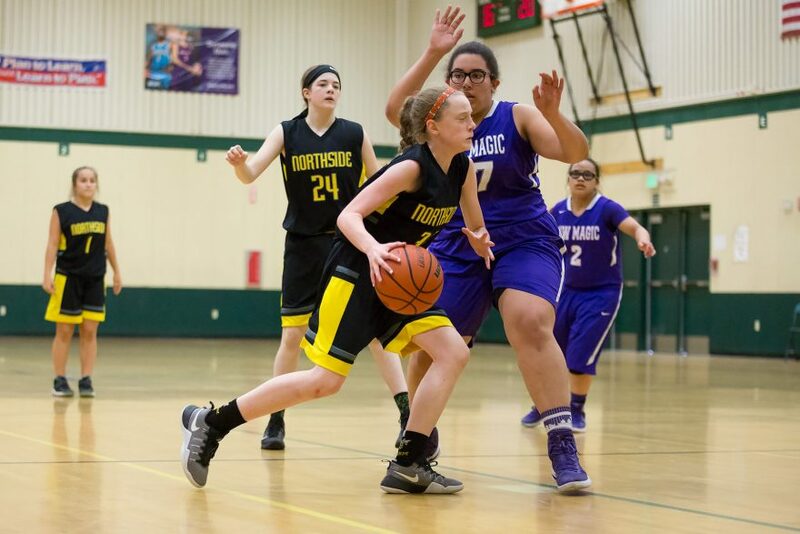 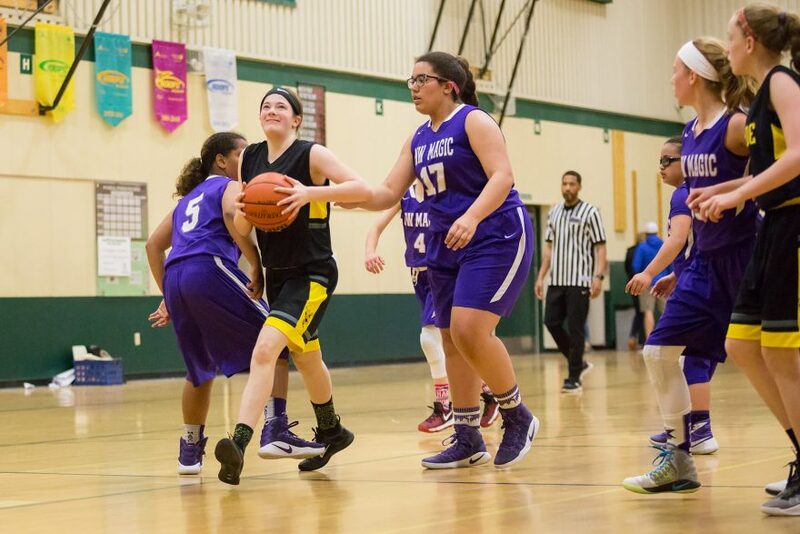 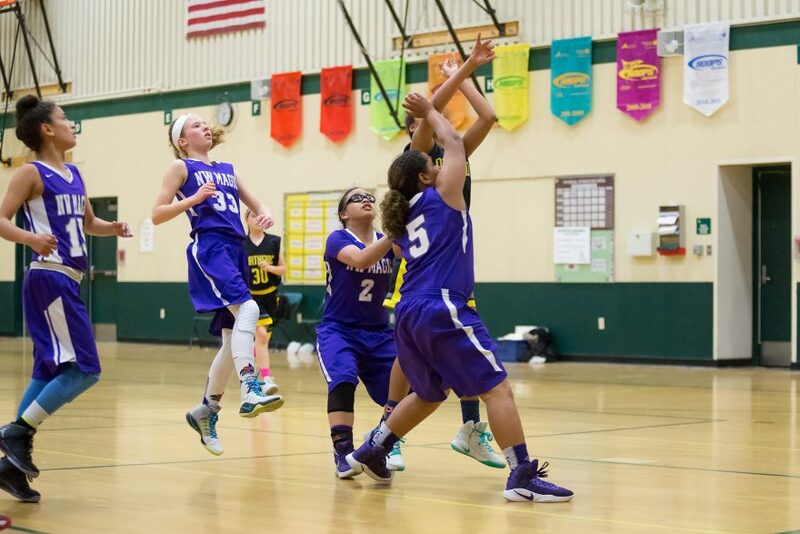 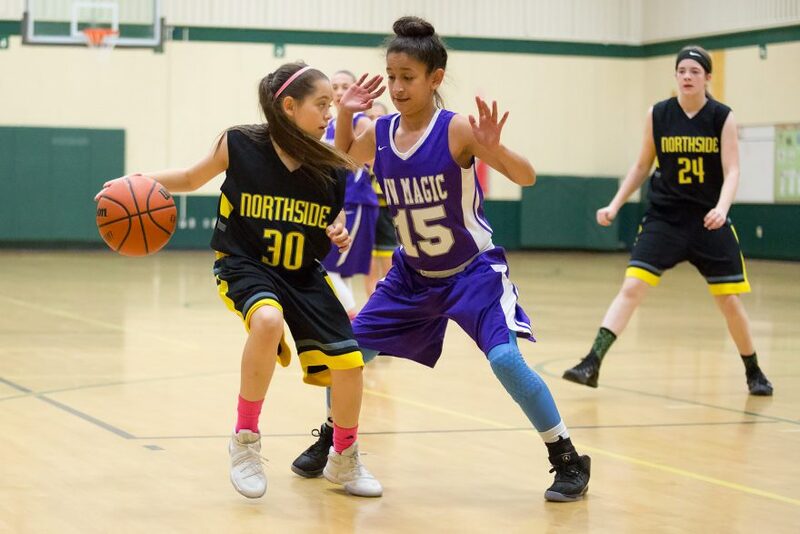 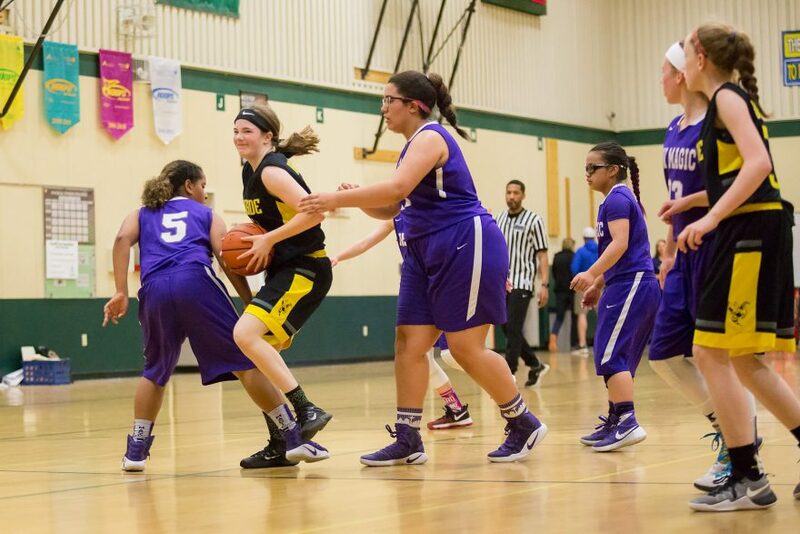 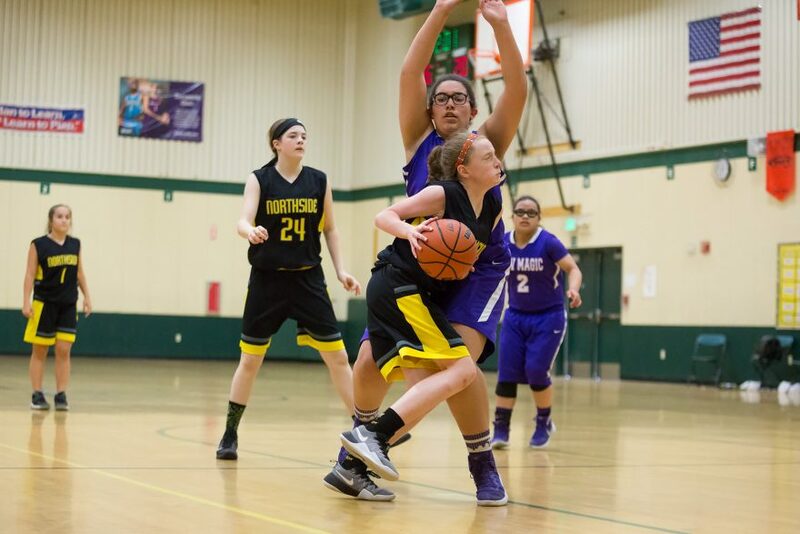 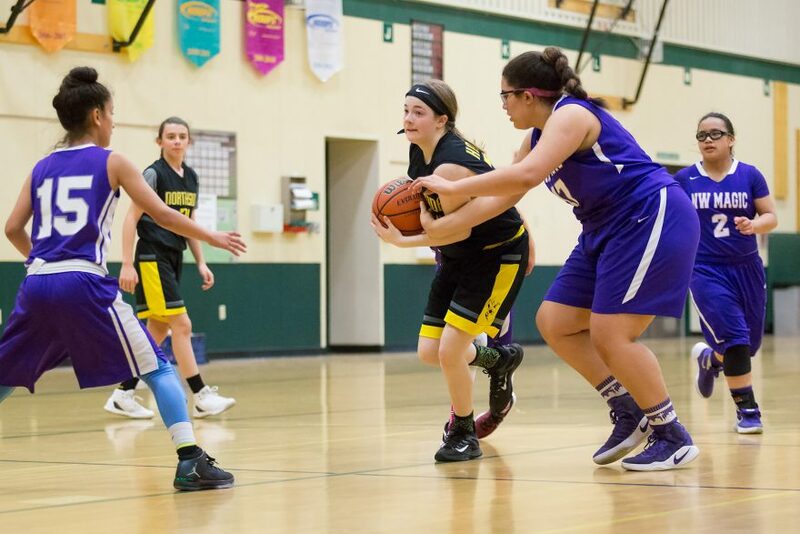 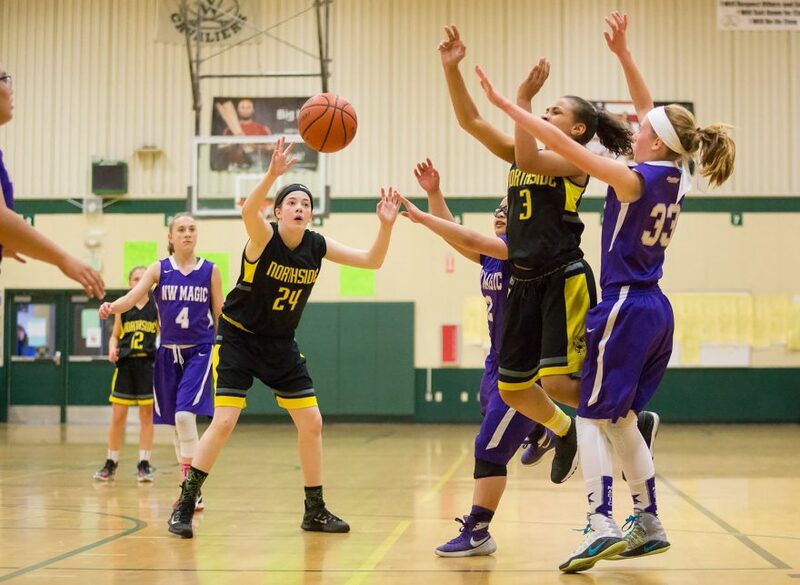 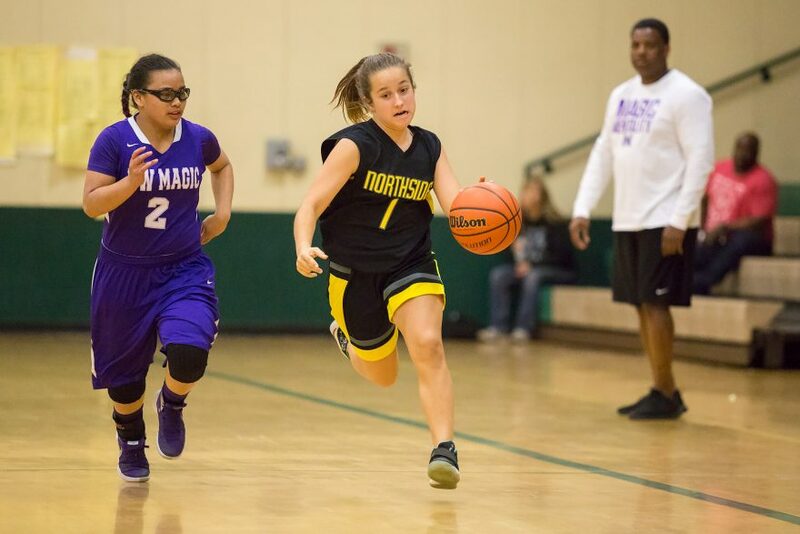 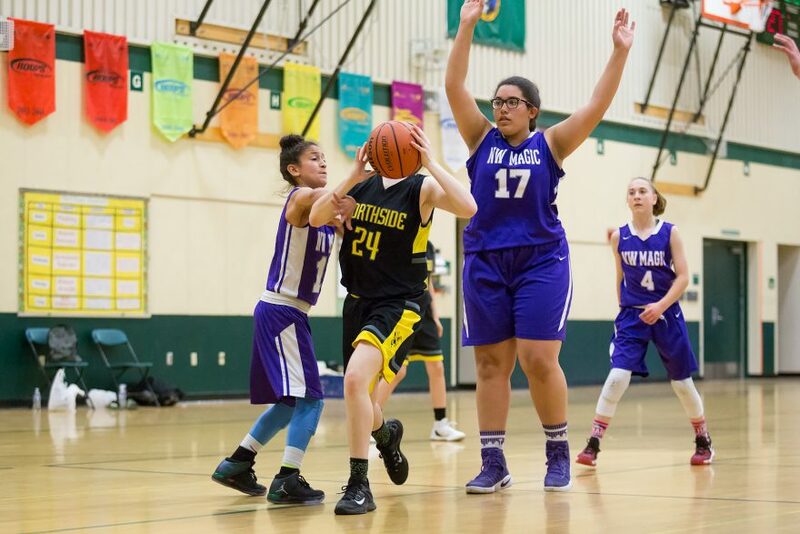 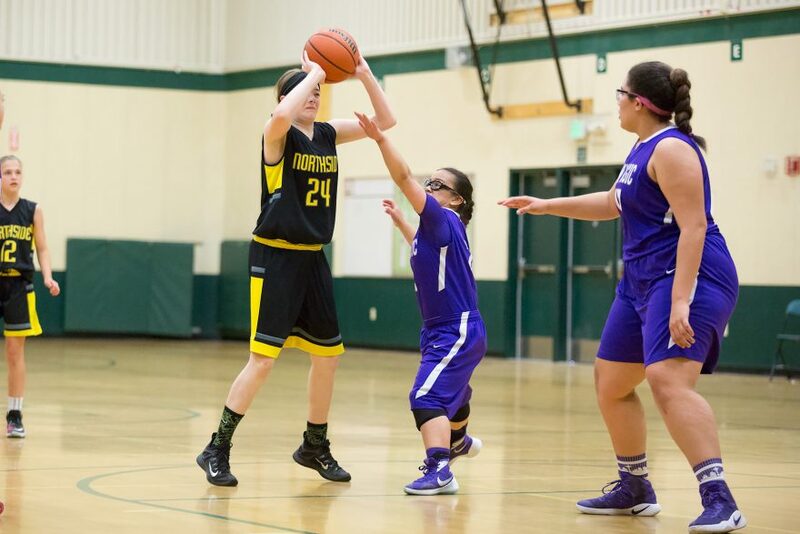 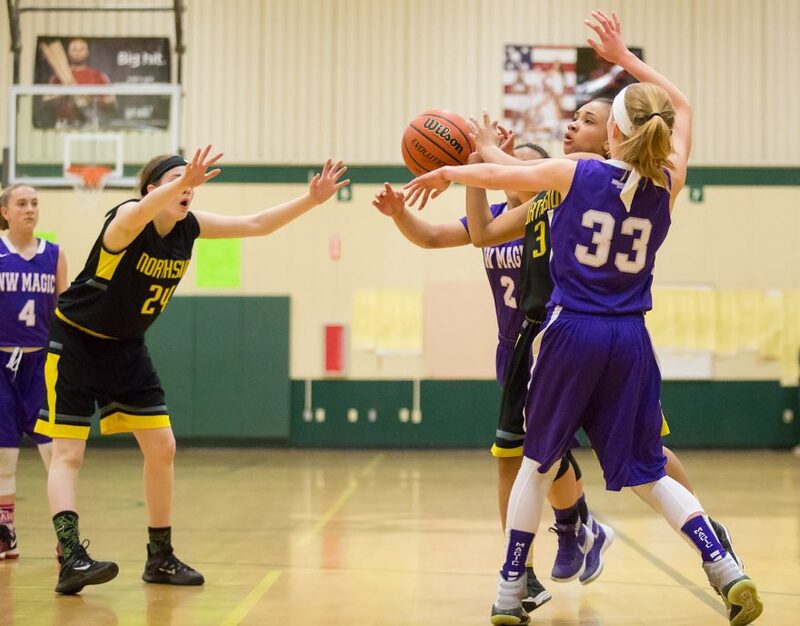 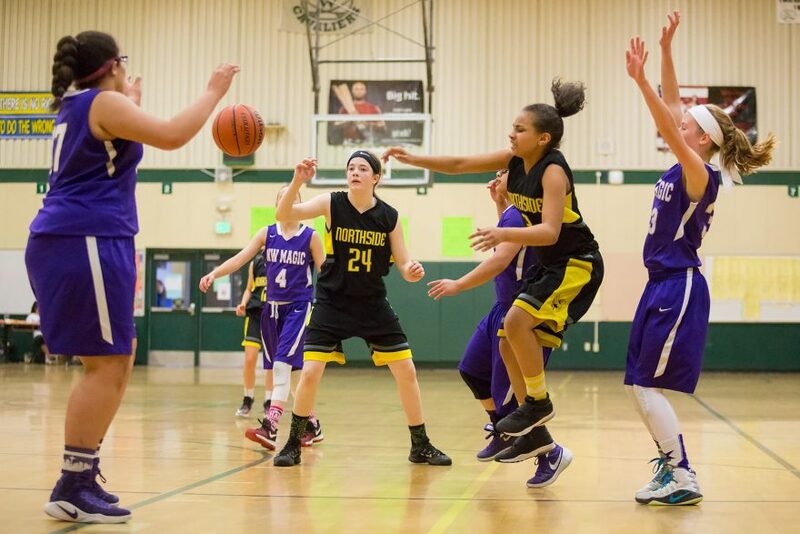 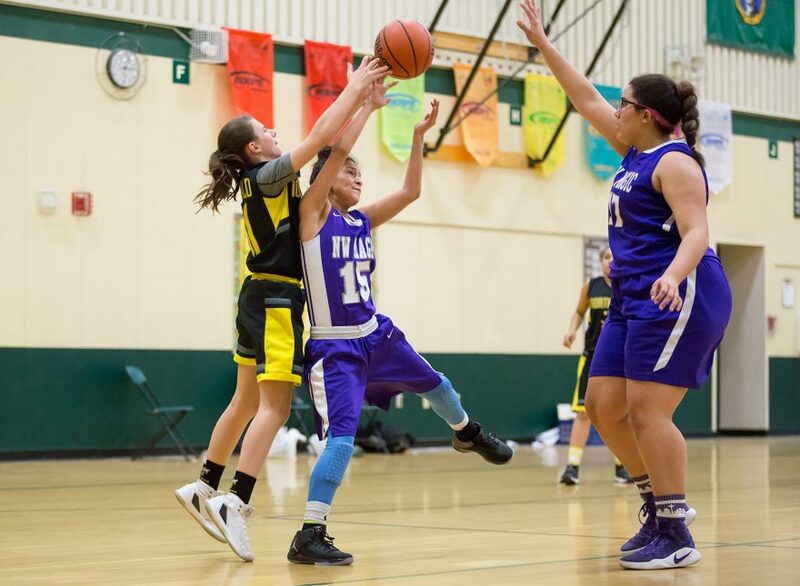 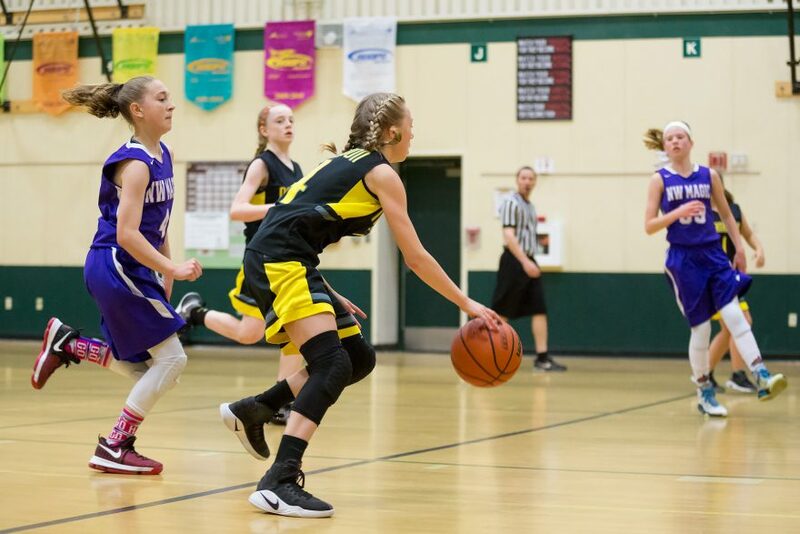 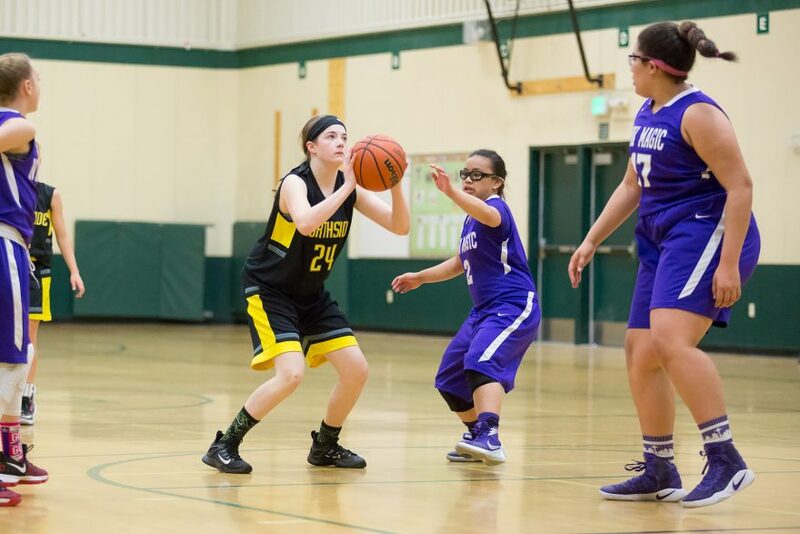 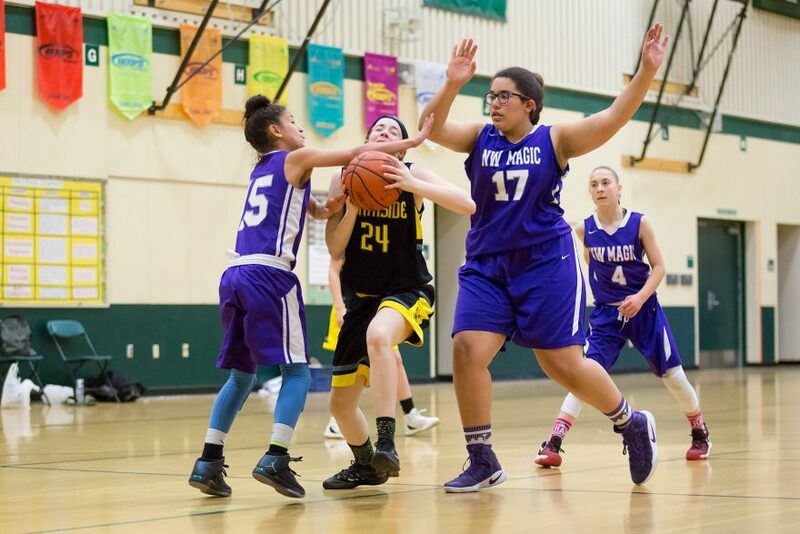 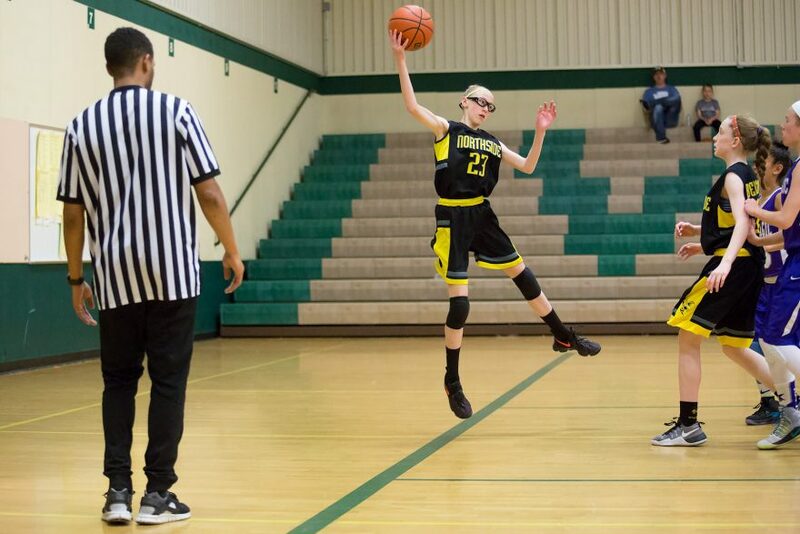 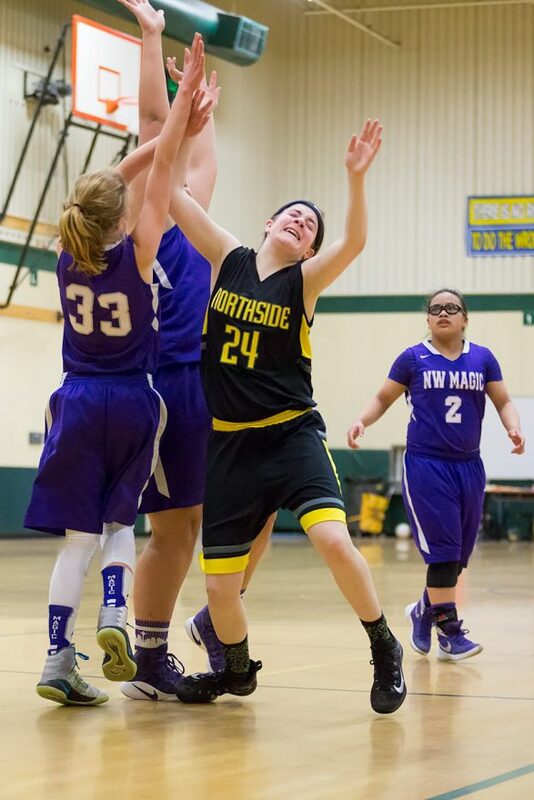 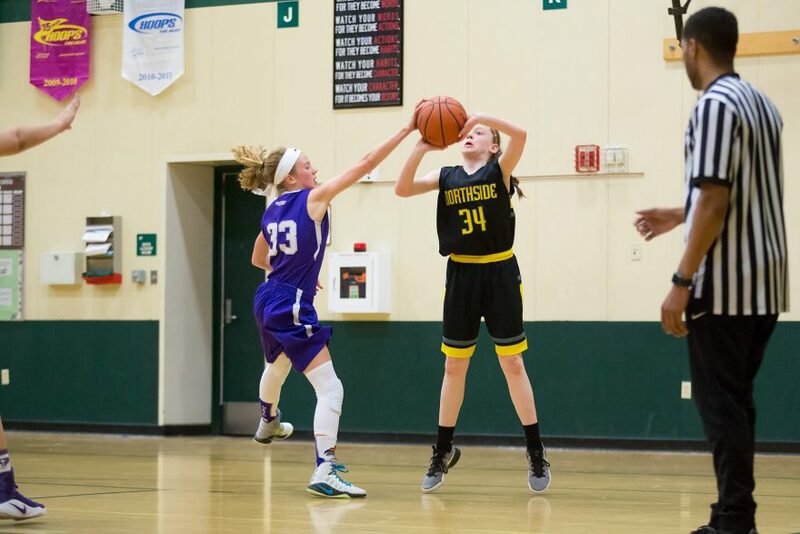 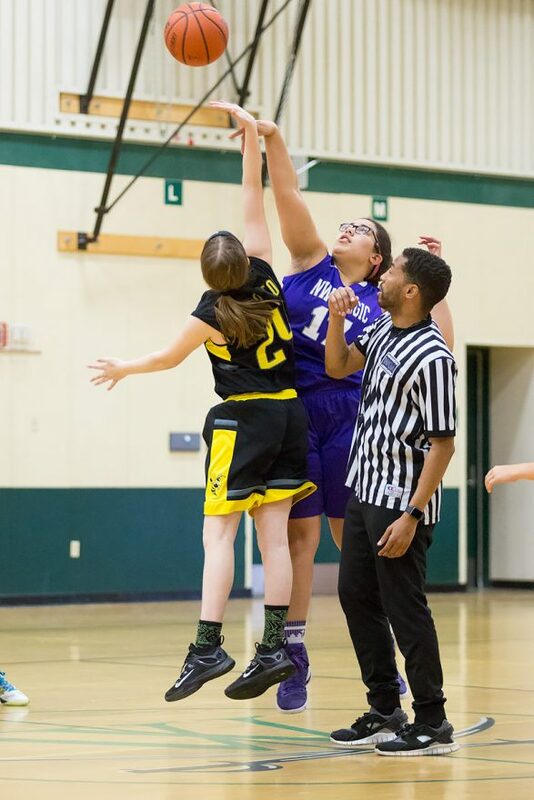 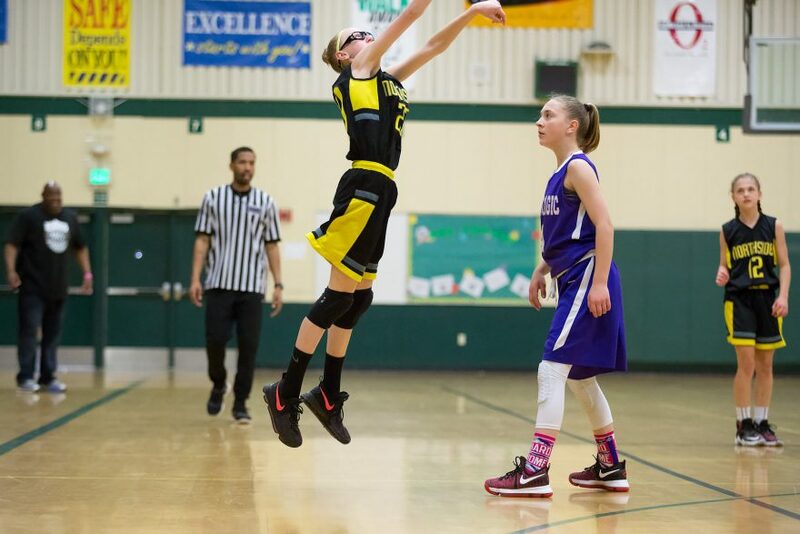 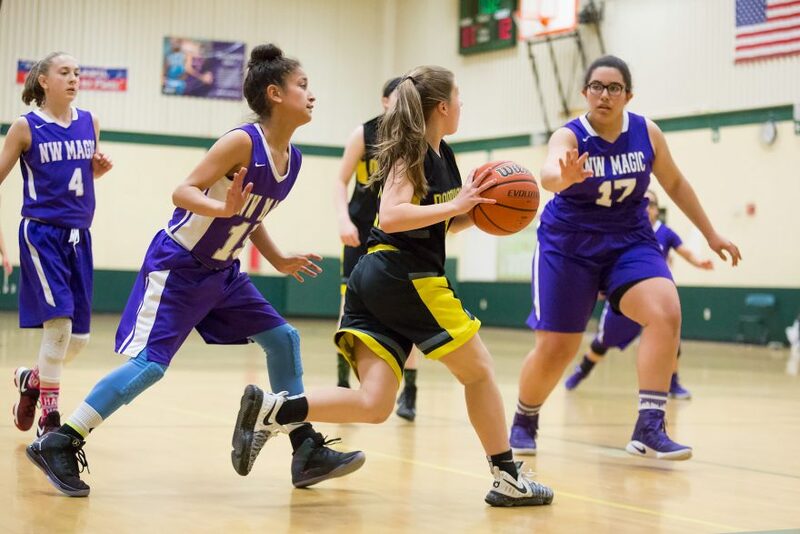 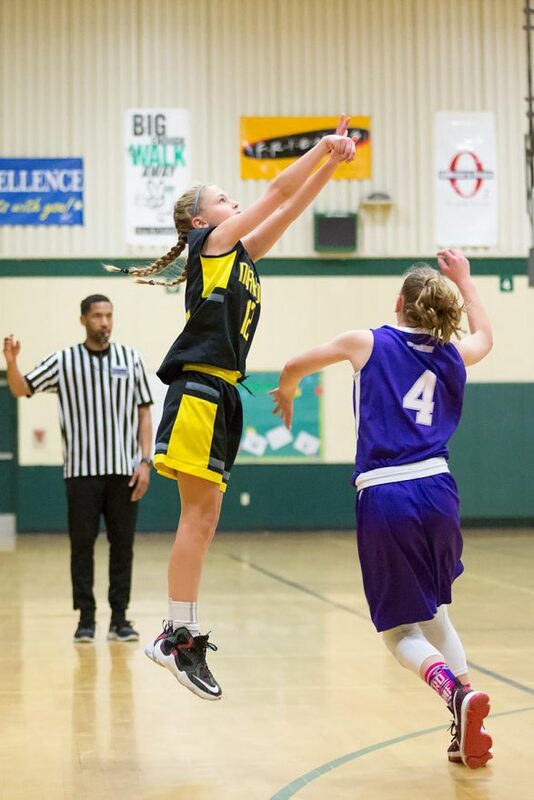 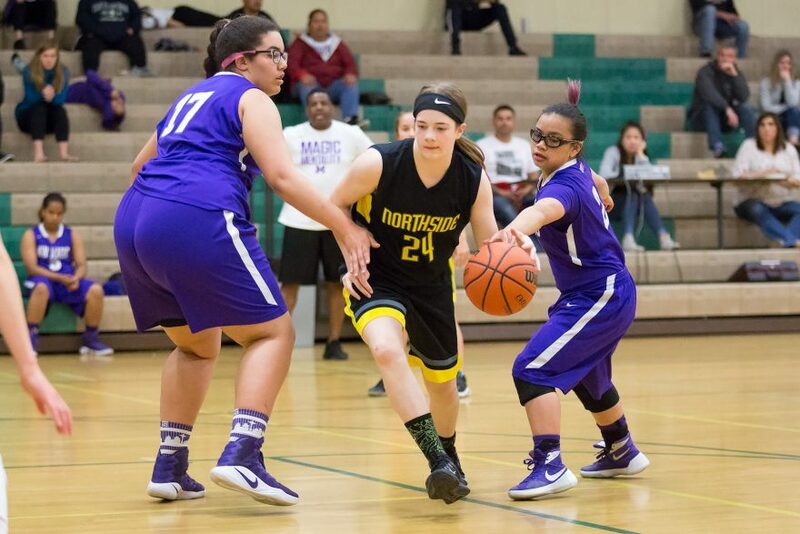 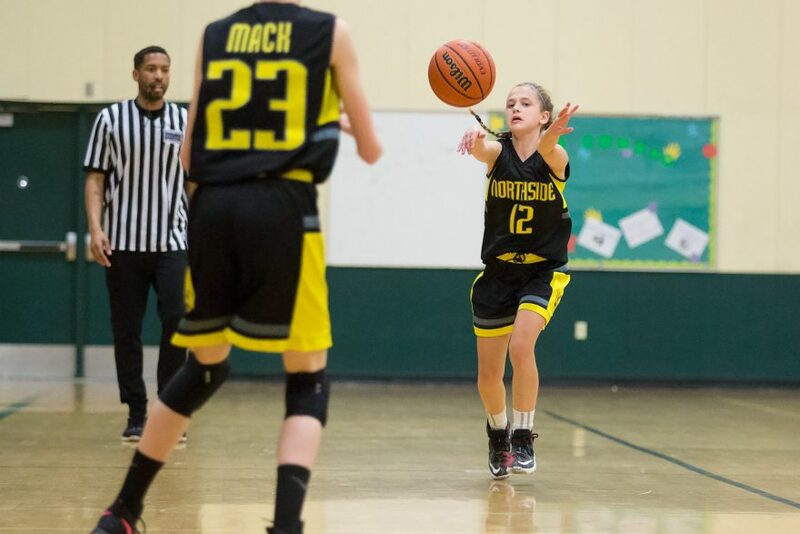 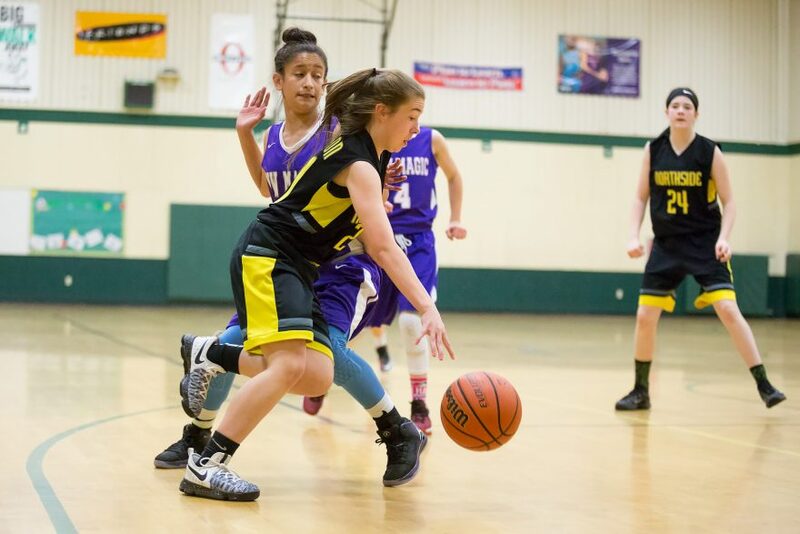 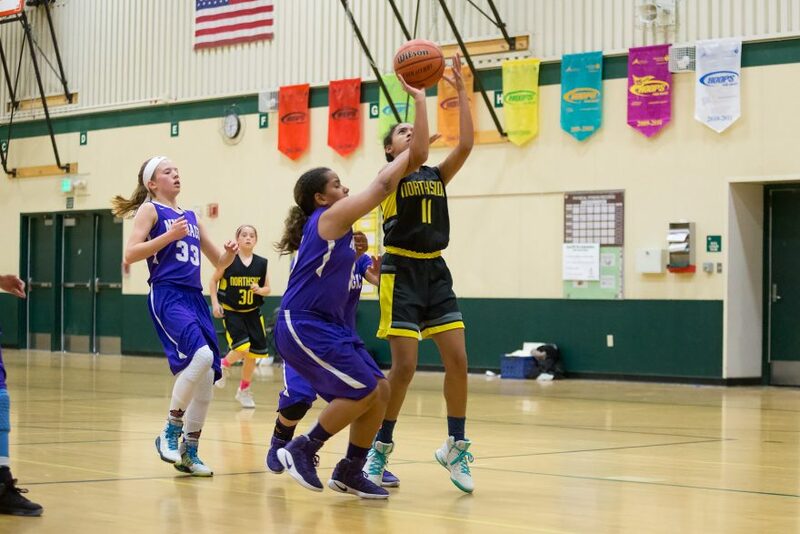 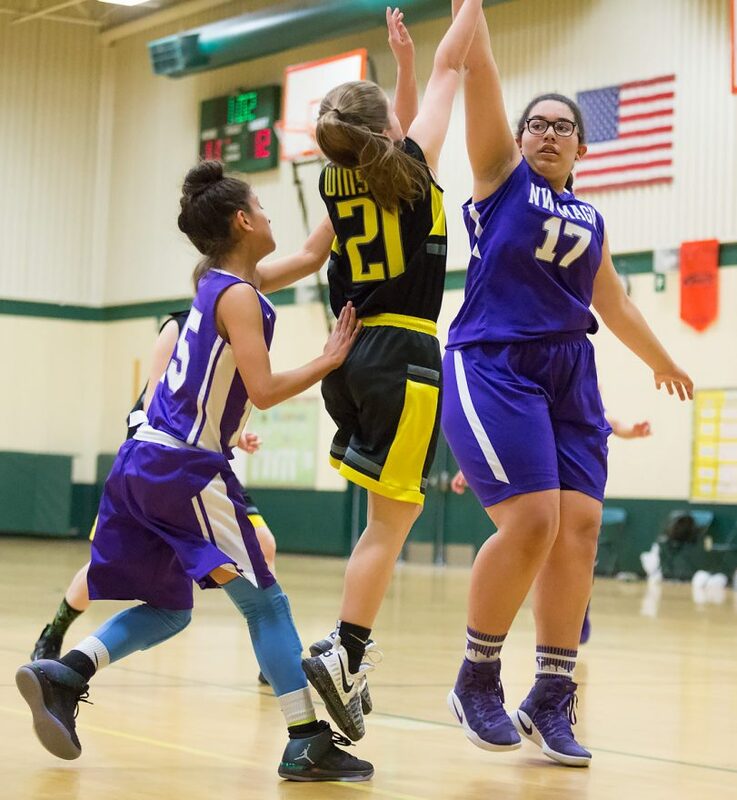 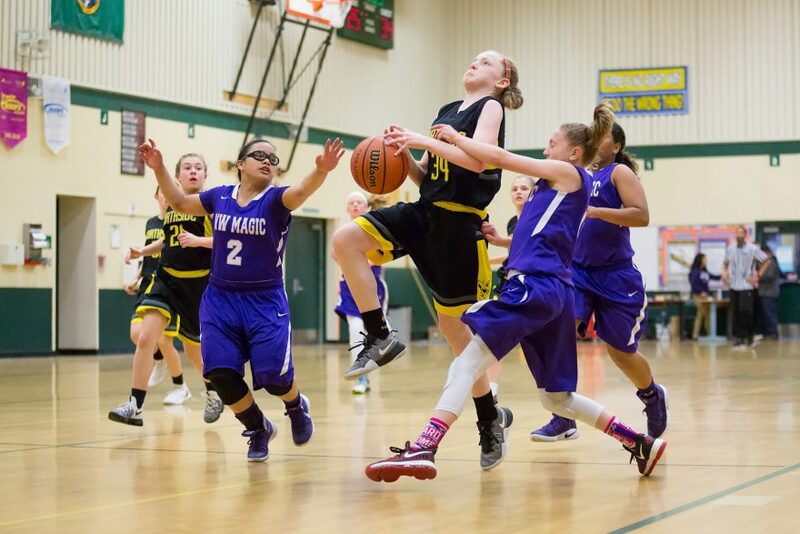 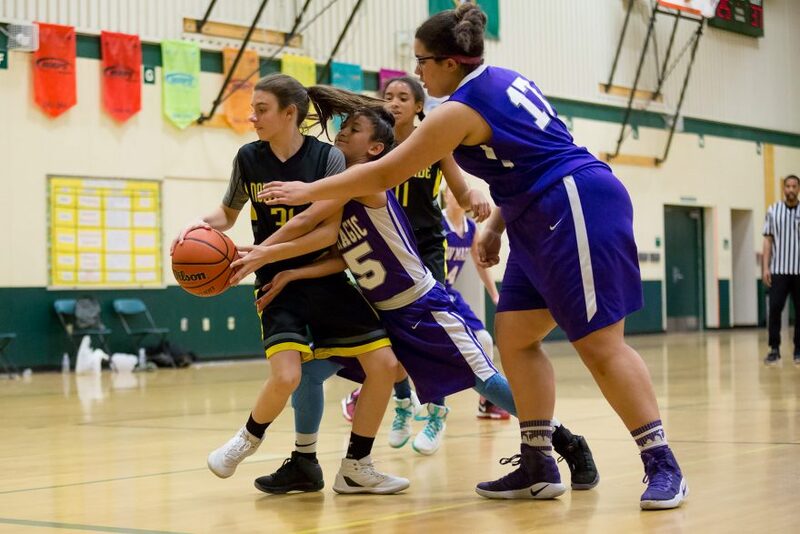 On Sunday afternoon, the NW Magic girls faced off against the Northside Swarm to decide who would proceed to the championship game. 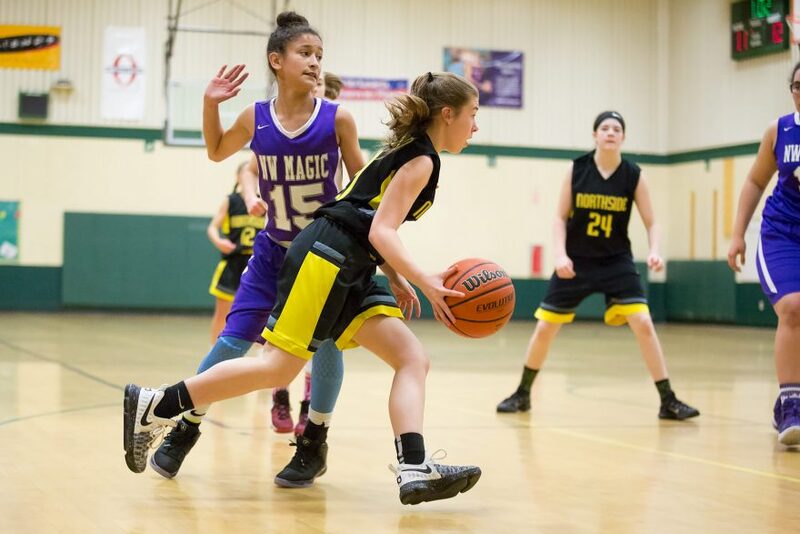 The Magic came out with energy, taking a 4-2 lead before the Swarm sunk a three-pointer to pull ahead. 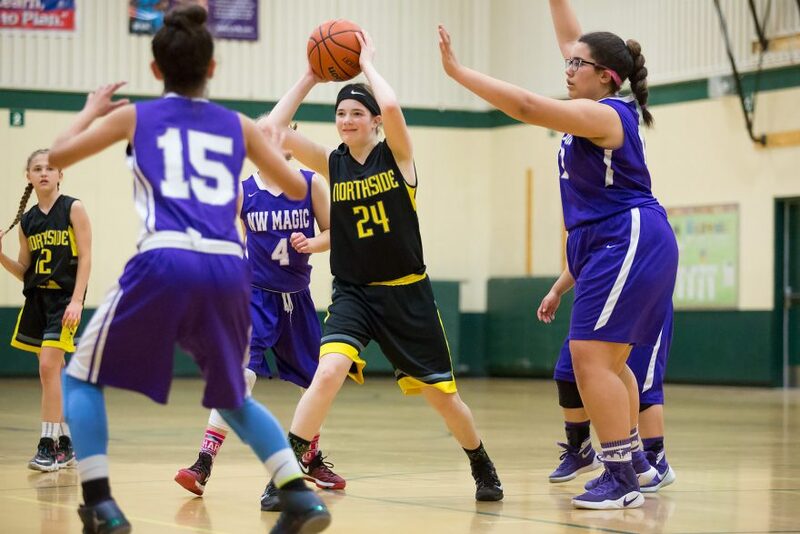 Very quickly, though, the NW Magic hit a free-throw to tie up the game. 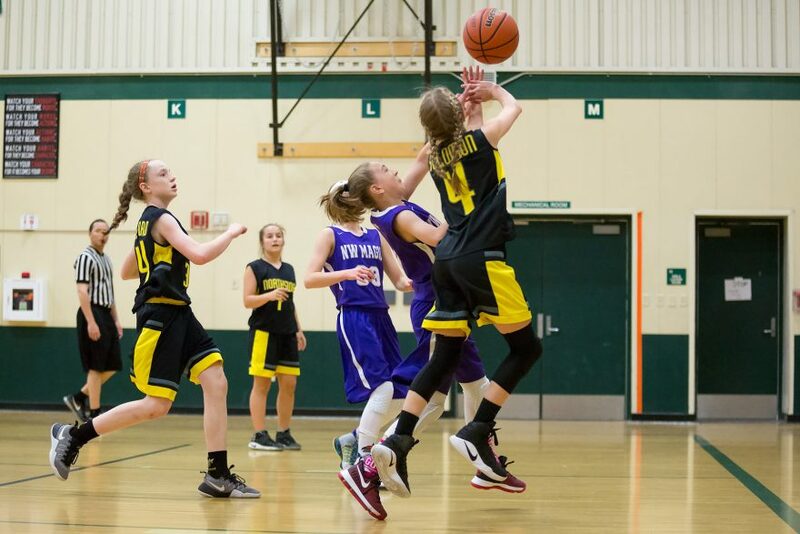 Scoring remained even throughout the quarter, with the Swarm pulling out to a slim 11-12 lead as the quarter wound down. 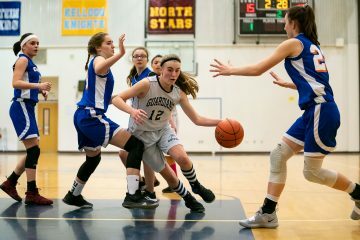 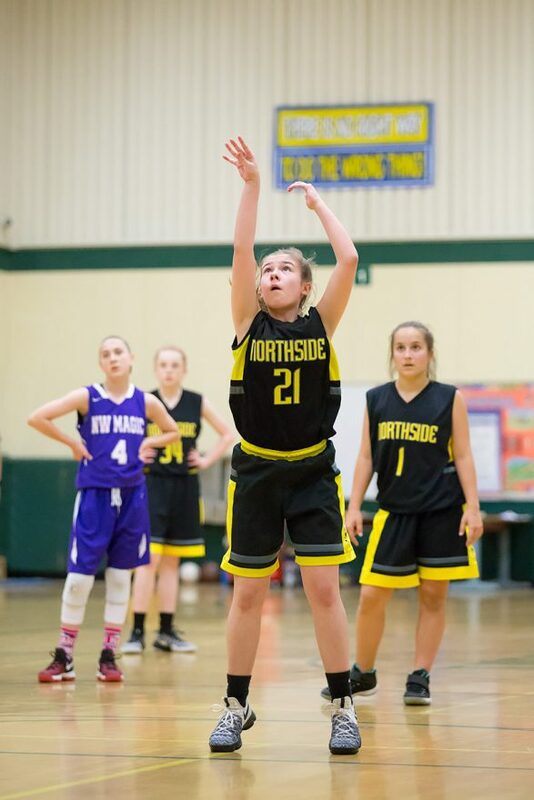 In the second quarter, Northside began to build on their lead, staying ahead by three points for much of the quarter, and then pulling ahead by five in the final minute (17-22), and as the final second ticked off the clock, #23 hit a buzzer beater to stretch the lead to 17-24. 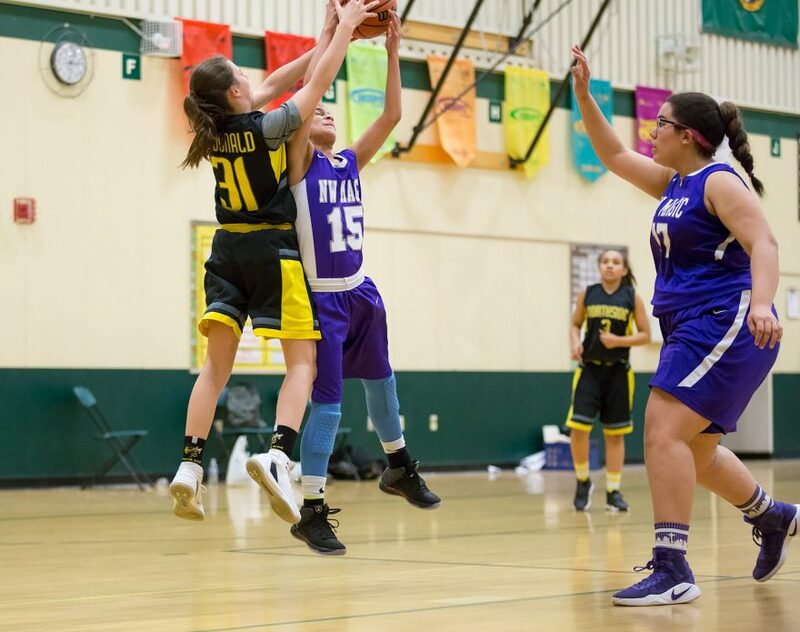 Both teams came out strong in the second half, scoring equally, and after five minutes of play, their scores were still separated by seven points (25-32). 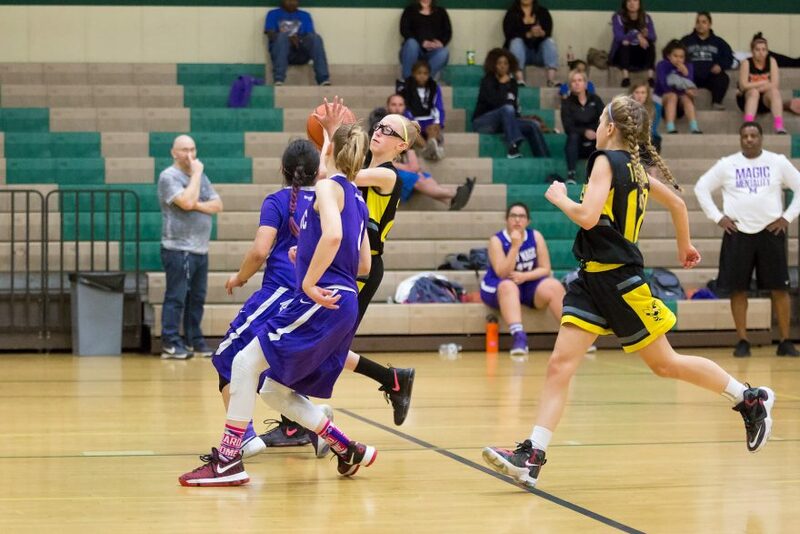 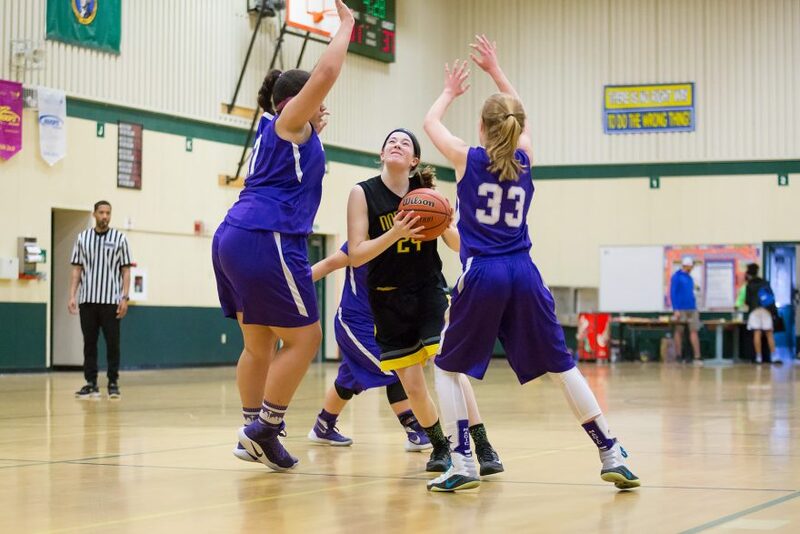 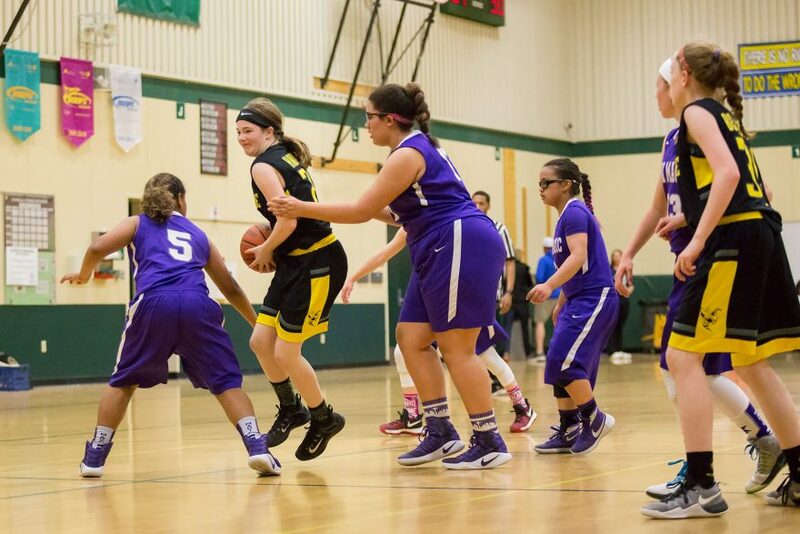 Then, the Swarm sunk five unanswered points, closing the quarter at 25-37. 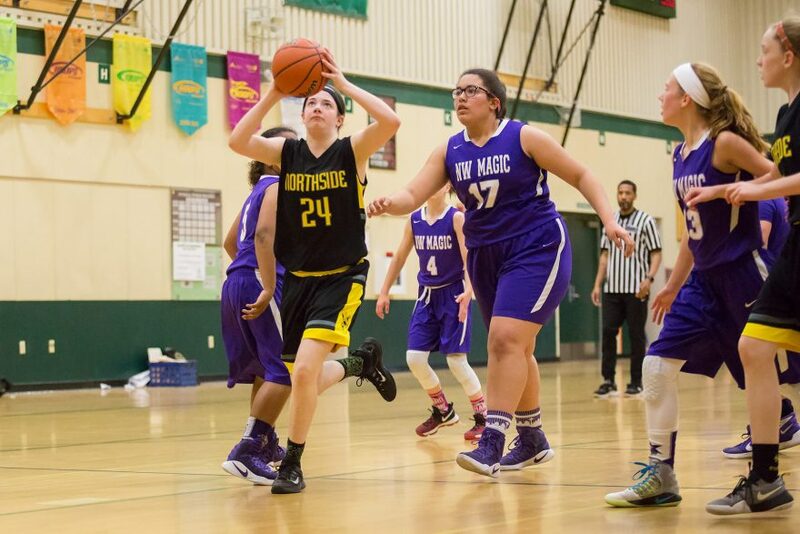 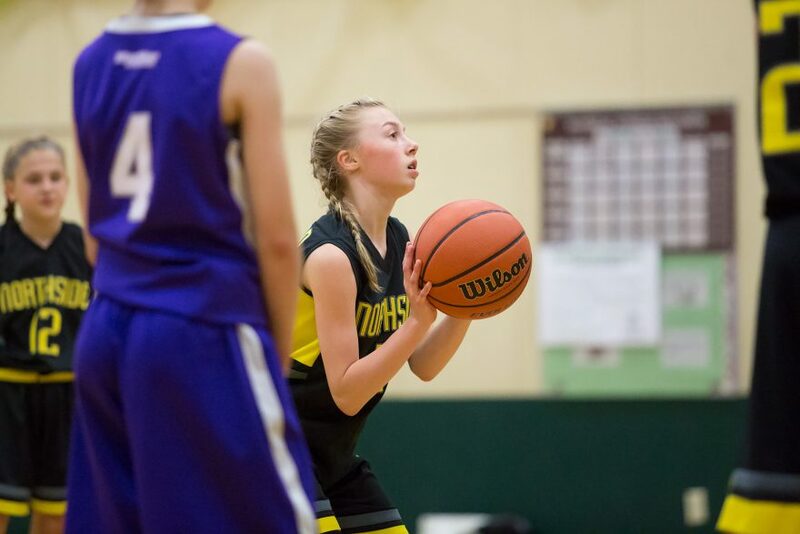 To open the final quarter of the game, the NW Magic girls went on a 6-0 run, closing the gap to only six points and threatening a comeback win. 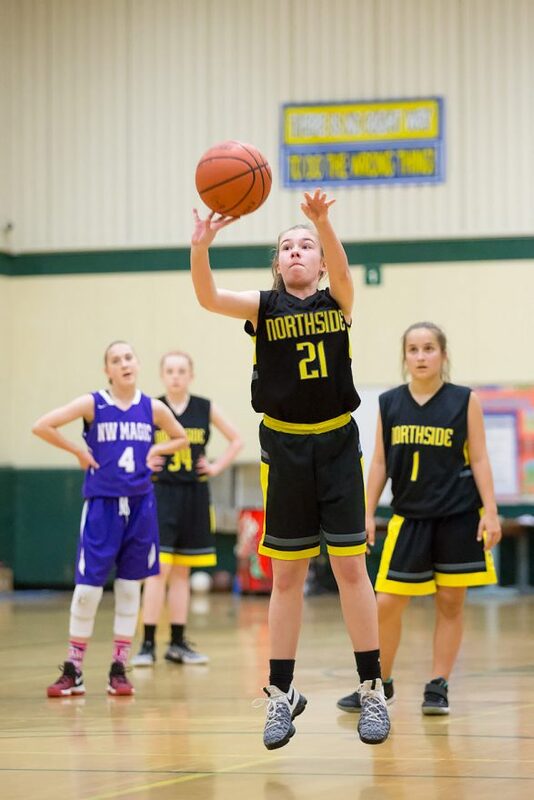 Then, the Northside defense came to life, holding the Magic to only two points for the rest of the game and rebuilding an eight point lead to win the game 33-41.